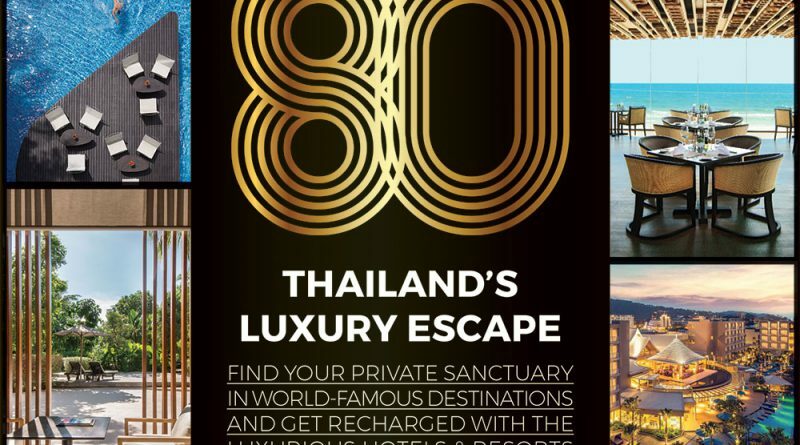 FIND YOUR PRIVATE SANCTUARY IN WORLD-FAMOUS DESTINATIONS AND GET RECHARGED WITH THE LUXURIOUS HOTELS & RESORTS AROUND THAILAND. Staying at Shangri-La means putting yourself in the heart of the culturally rich city of Chiang Mai. Explore the small quite lanes leading to serene Buddhist temples and refuel at the hotel’s Kad Kafe with a variety of delicious international cuisine. Shangri-La truly is a sanctuary within the vibrant city. 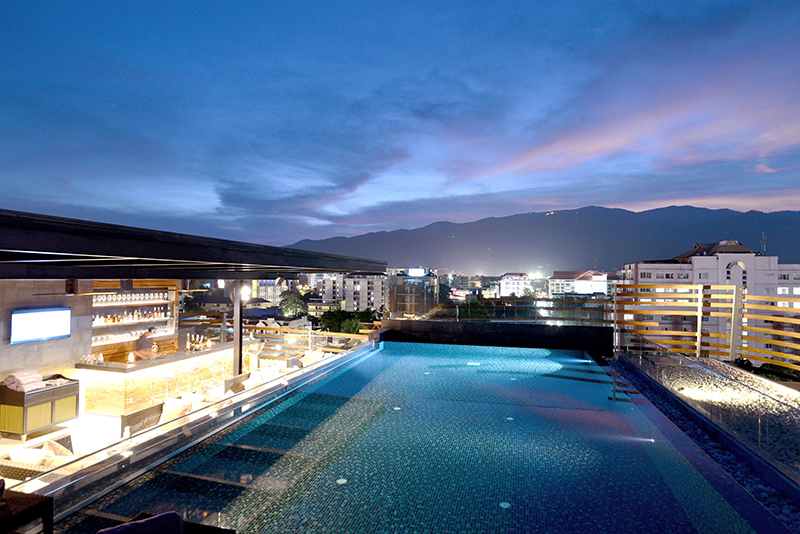 Le Meridien Chiang Mai commands the majestic views of Suthep Mountain, the city’s famous natural landmark. The hotel is located just a stone throw away from the popular night market, restaurants, and boutiques, as well as myriad of cultural attractions. 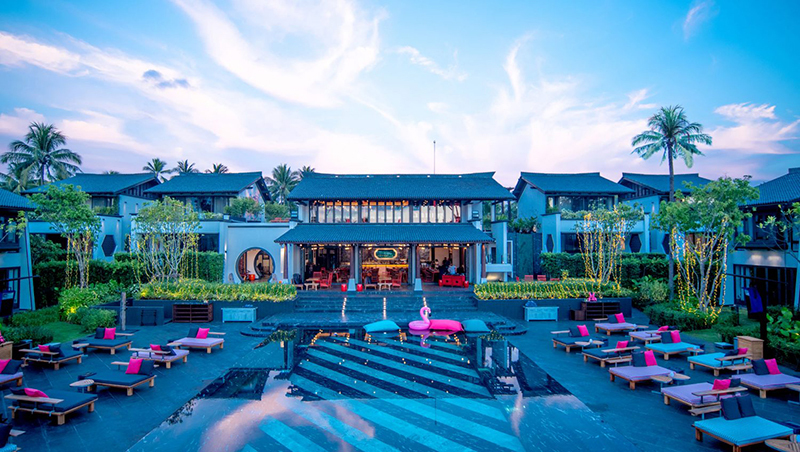 Tamarind Village is the first “Lanna style” boutique hotel in Chiang Mai which was awarded a commendation in the prestigious UNESCO Asia-Pacific Heritage and inspired many resorts and hotels that came after. 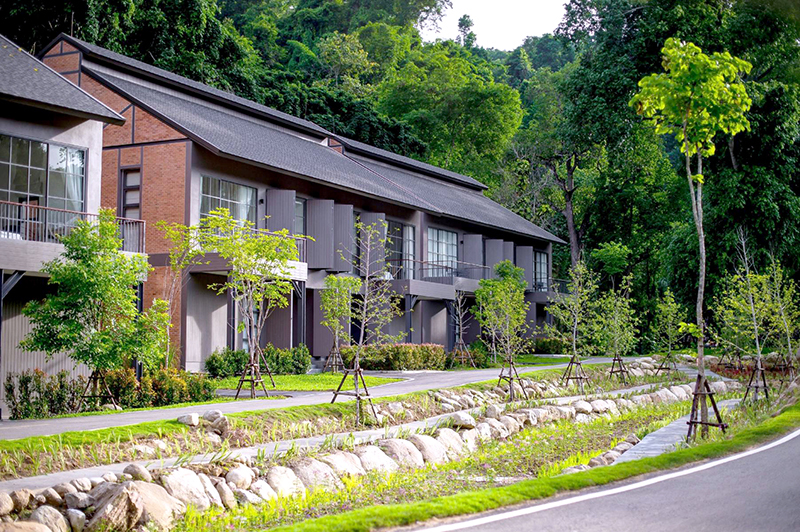 The hotel features 46 rooms and suites that reflect the rich ethnic diversity of northern Thailand. Flora Creek nestles on an expansive 10 acres of land set against the backdrop of lush forest and colorful flower garden. The resort boasts cozy barn house design, but the real highlight is the renowned Krisdadoi Botanical Garden which is beautifully designed for year-round visit and seasonal inspiration. Convenience is the key to dusitD2 Chiang Mai. It offers 131 well-appointed rooms conveniently located just 9 km away from the city center with an on-site car rental service, so you won’t miss any business deal or worry about running late for a day spa appointment. AN ELEGANT DESIGN INSPIRED BY THE AUTHENTIC LANNA STYLE. 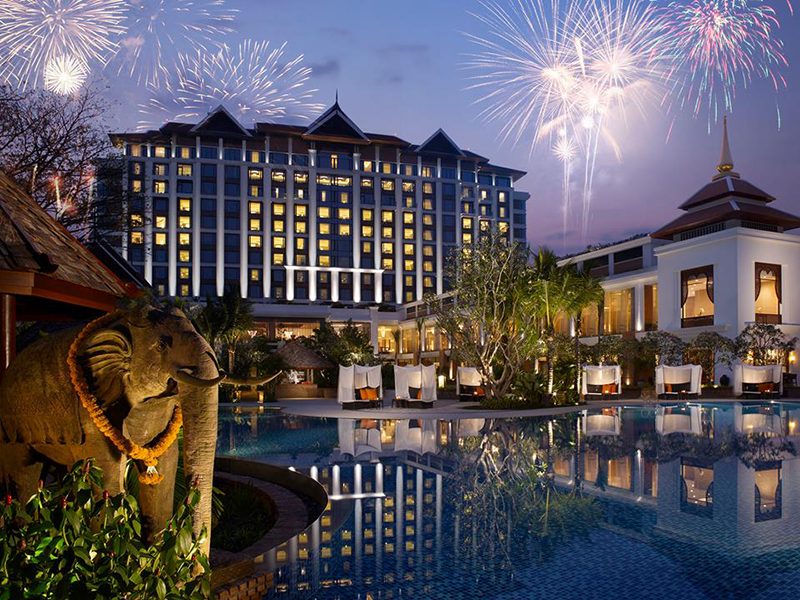 Dusit Princess Chiang Mai is known for its incredible cuisine, friendly services, and excellent facilities. 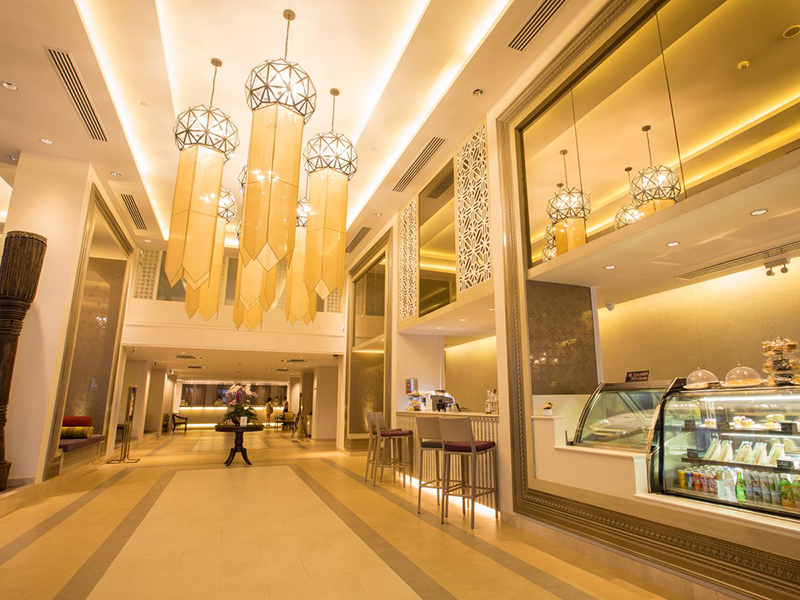 The hotel’s 2 restaurants serve amazing Thai, Chinese and international dishes all day, and it absolutely is something you can write home about. WHERE LUXURY MEETS NATURE. 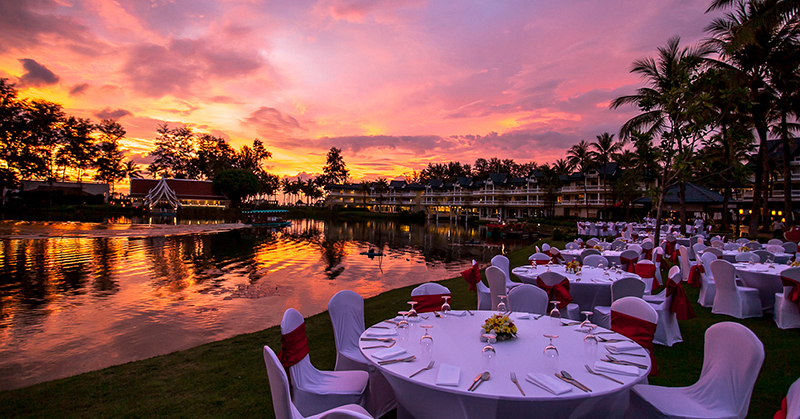 THE BIGGEST ALL SUITES, PANORAMIC VIEWS CHIANG RAI HOTEL, RESORT. 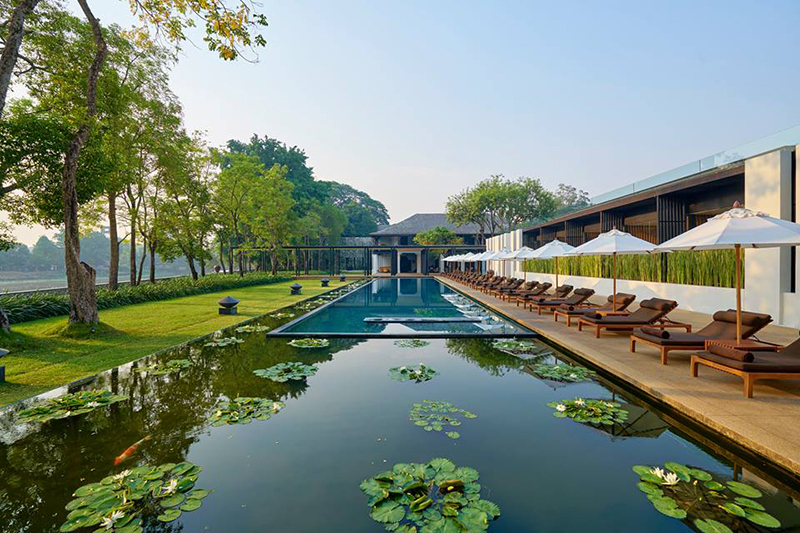 Katiliya Mountain Resor t & Spa brings luxuriousness to the mist-shrouded hills of Chiang Mai. 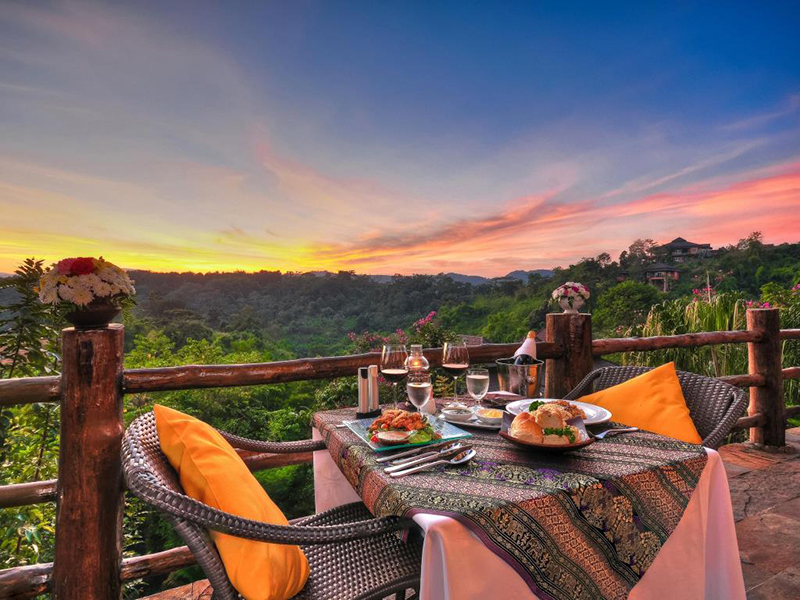 The secluded all-suite resort captivates you with renowned Thai hospitality and peaceful atmosphere set against a unique backdrop of wilderness, adventure and culture. 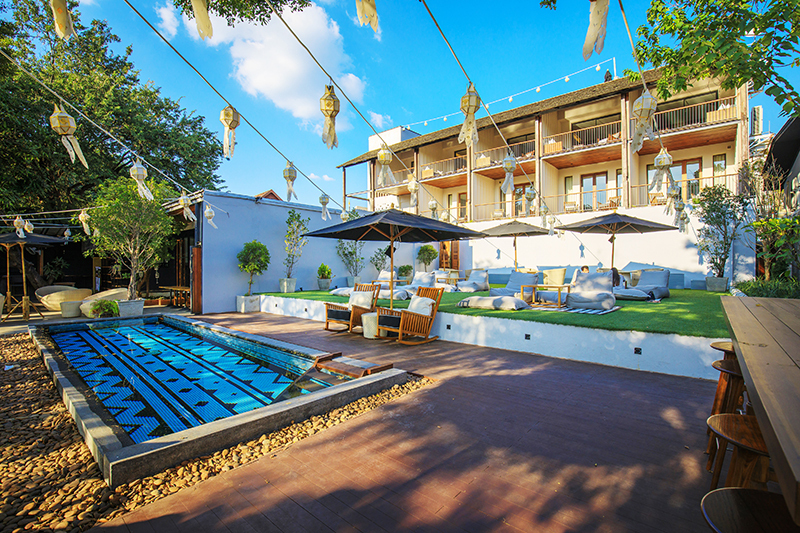 As the winner of SLH’s Love of Local Award 2017, Akyra Manor is a leading boutique hotel in Chiang Mai with awe-inspiring architecture and design, as well as friendly services and state-of-art facilities, including a contemporary Italian restaurant, a rooftop pool, and your own private hot tub. Nestled high up in the hills, Panviman Chiang Mai Spa Resort offers a unique luxury hideaway amidst tropical forests of northern Thailand. With charming Lanna architecture, captivating valley views, and one of the best spas in South East Asia, Panviman radiates the wonderfully healing energies to awaken, to delight, and to restore you from inside out. 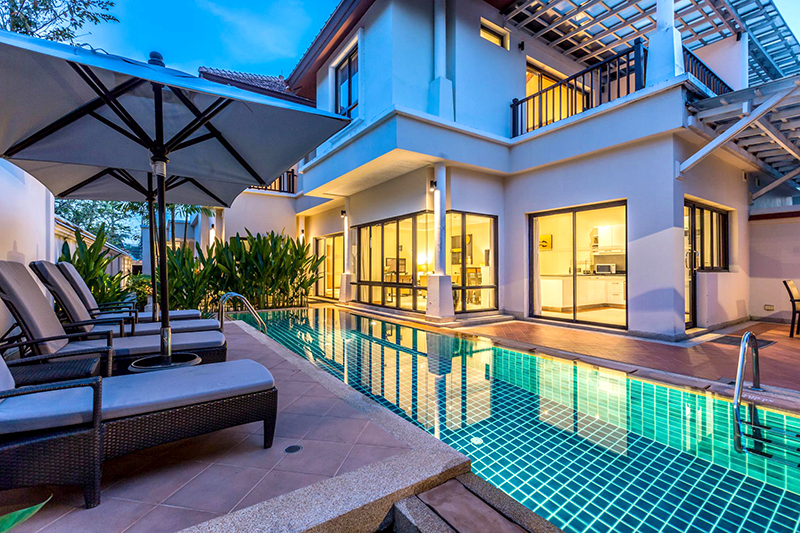 With a private pool in almost all of the villas and suites, SALA Phuket Resort and Spa is a deluxe pool villa resort on the serene Mai Khao Beach. Despite having a private pool in most of the rooms, there are three infinity pools dotting the resort: one for laps, one for kids, and one for simply floating about with a cocktail. 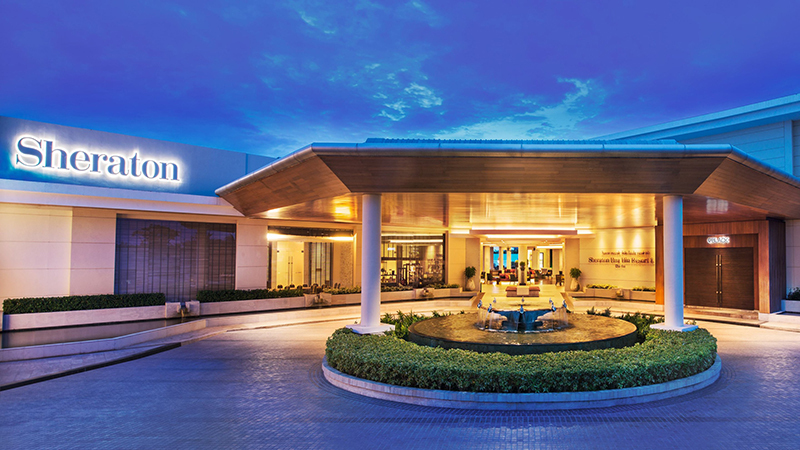 Hotel Baraquda – MGallery by Sofitel is the premier golfer paradise in the heart of Pattaya. 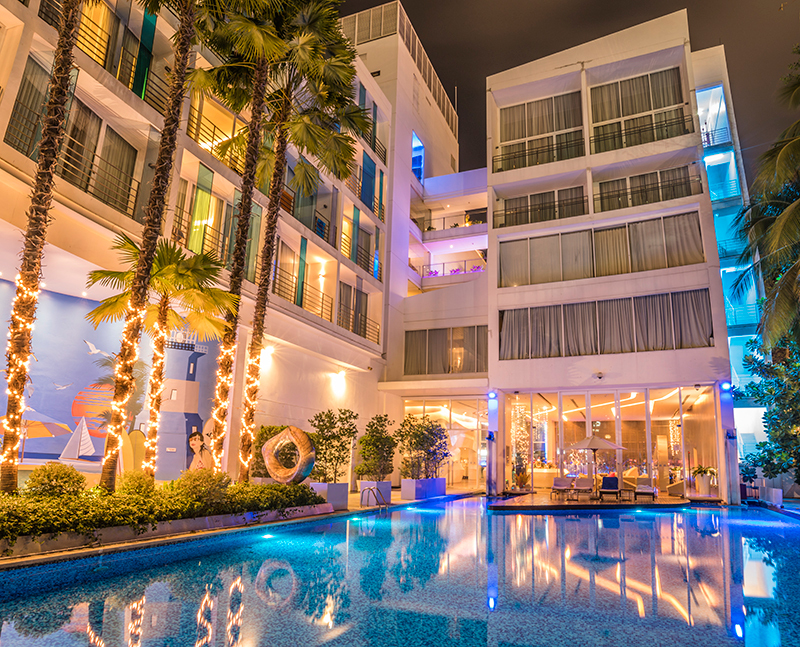 It’s an ideal location to experience the world-class golf course and the notorious nightlife of Pattaya while enjoying the elegant French touch of Sofitel’s hospitality. 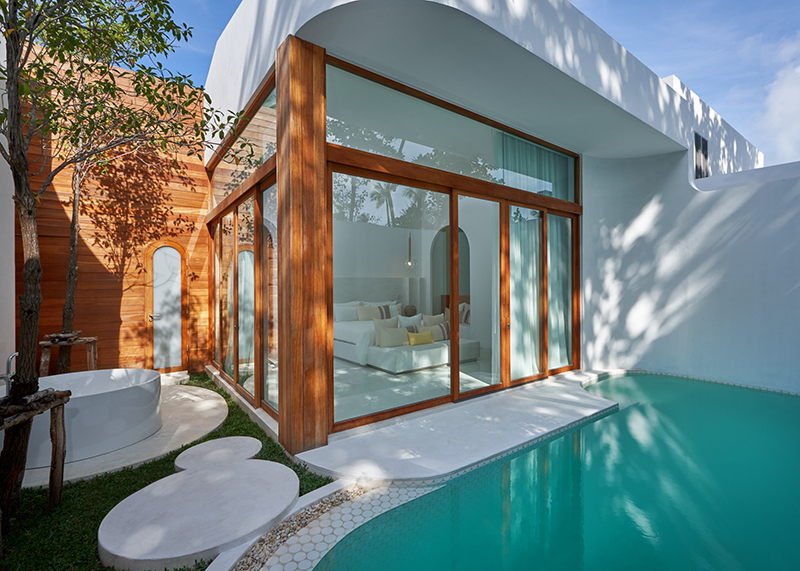 Let’s your tranquil journey begin at the Neo-Moroccan luxury boutique resort on the most beautiful and peaceful beach of Hua Hin, Thailand Experience the beauty of Morocco from the tropical shores of Hua Hin Beach at Marrakesh Resort. 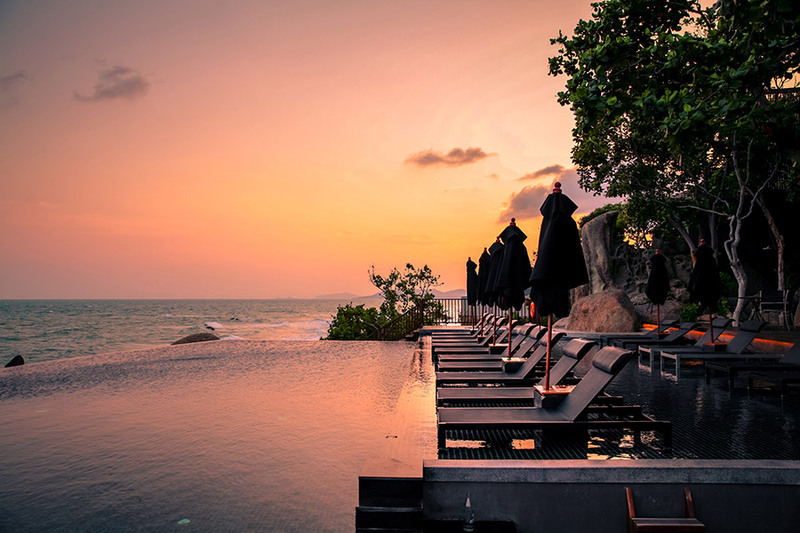 Perched on a cliff headland overlooking the Gulf of Thailand, Inter-Continental Pattaya Resort caters to discerning travelers in search for a luxury getaway in Pattaya. 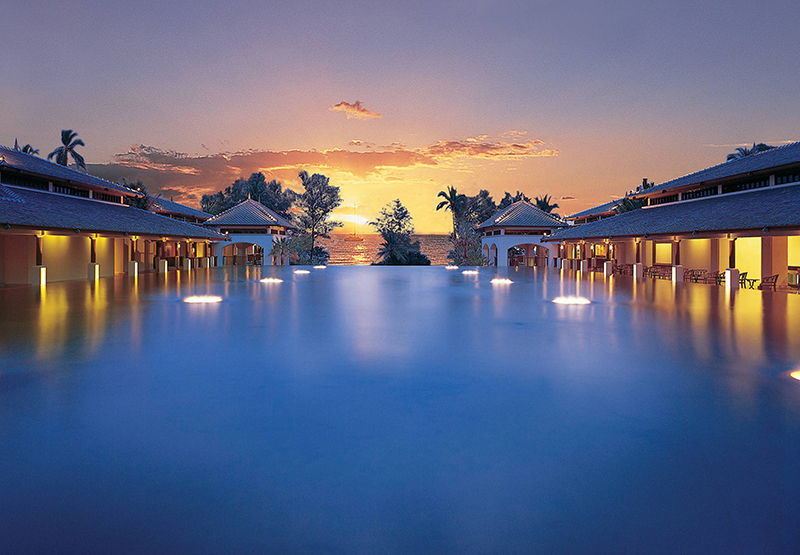 The 5-star resort boasts a range of deluxe amenities, including a limousine service and Amburaya Spa. Combining Dusit Thani’s renowned Thai luxury and hospitality with one of the most popular destination like Pattaya, Dusit Thani Pattaya offers the perfect sanctuary with amazing views, direct access to 2 beachfronts, and conveniently located near the shopping and dining venues. A COMPLETE ONE-STOP SERVICE HERE AT OCEAN MARINA INCLUDING A WIDE RANGE OF MARINE FACILITIES AND SERVICES. 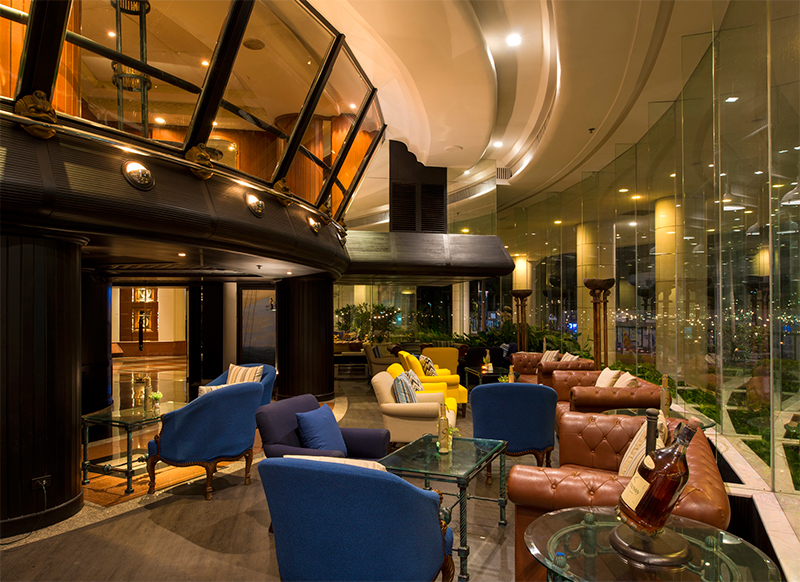 Ocean Marina Yacht Club highlights Southeast Asia’s largest marina and spectacular marina front views from all rooms. The hotel also organizes monthly sailing and cruising events to provide sailors with exciting activity throughout the year. 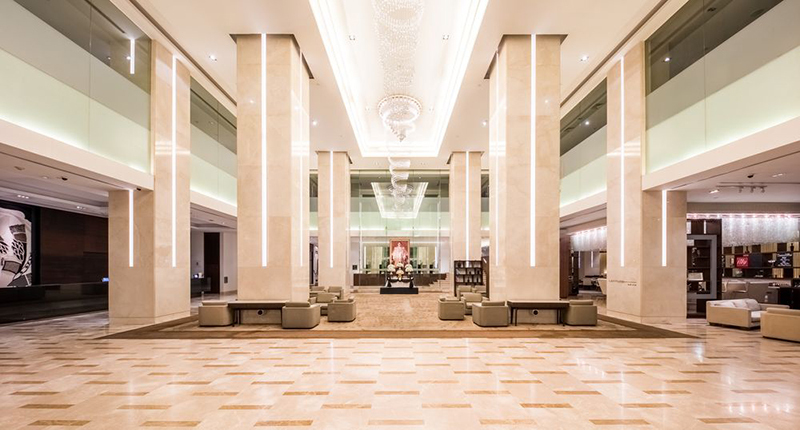 Dusit Thani is the reflection of the historic destination steeped in Thai royal heritage. The self-contain oasis features an ornamental lake, lily pond, tropical garden, swimming pools, recreational facilities, and of course, luxury accommodation on its expansive ground surrounded by natural beauty. EXPERIENCE COLONIAL SPLENDOUR IN THE PERFECT LOCATION. 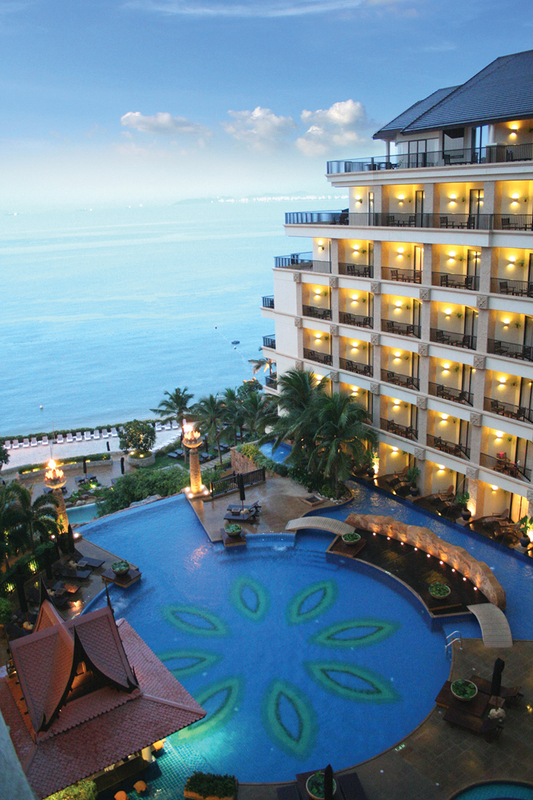 The colonial style Centara Grand Beach Resort & Villas elegantly offers a taste of luxurious colonial era. The charming resort sits on 16 hectares of lush land with a private beach and within a short drive to world-class golf courses and local markets. 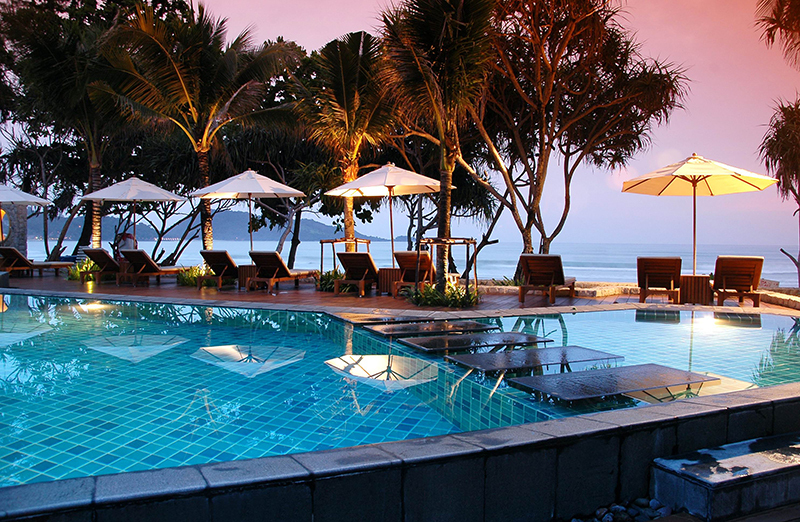 Putahracsa is the sophisticated beach hideaway in the resort town of Hua Hin. Luxury design, privacy, and comfort are the heart of this upscale boutique resort, and with genuine warmth and hospitality, Putaracsa is your family home away from home. Find yourself in blissful harmony surrounded by majestic mountains on the expansive 1,200 acres ground of Springfield Village Golf & Spa. 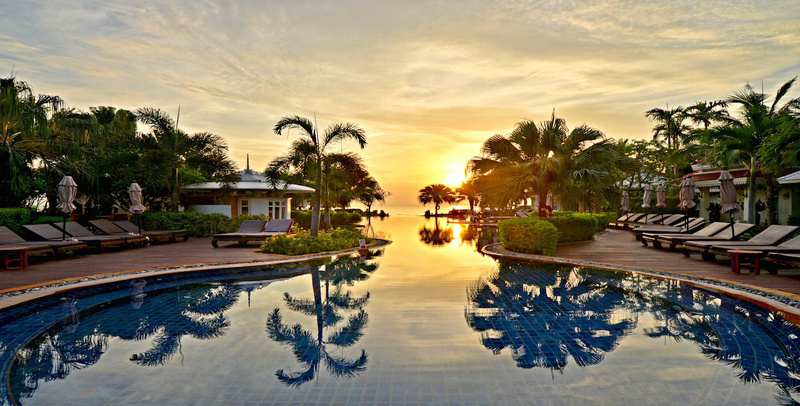 This environmentally friendly resort is the paradise for golfers and families looking for a memorable vacation in Thailand. 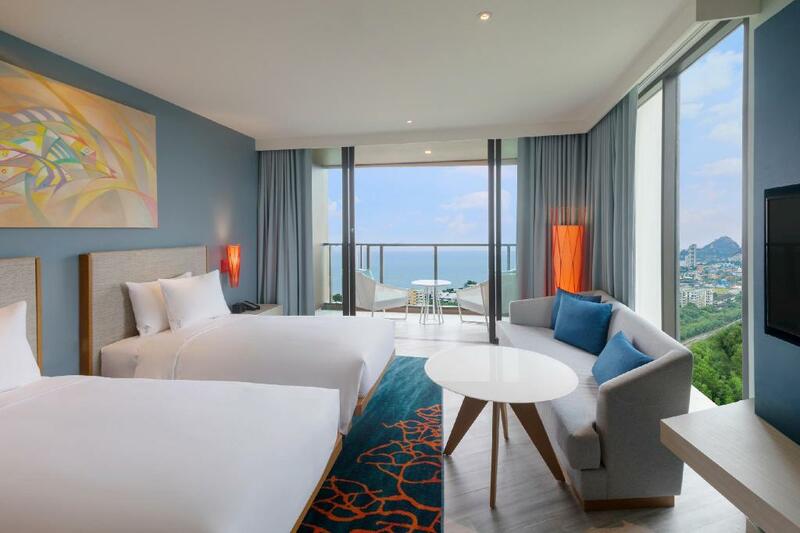 Uniting luxurious living with nature, Springfield@Sea Resort & Spa offers 105 nature-inspired rooms and suites with sweeping sea and garden views. The resort gets livelier at night as visually spectacular lights and sculptures glow colourfully. 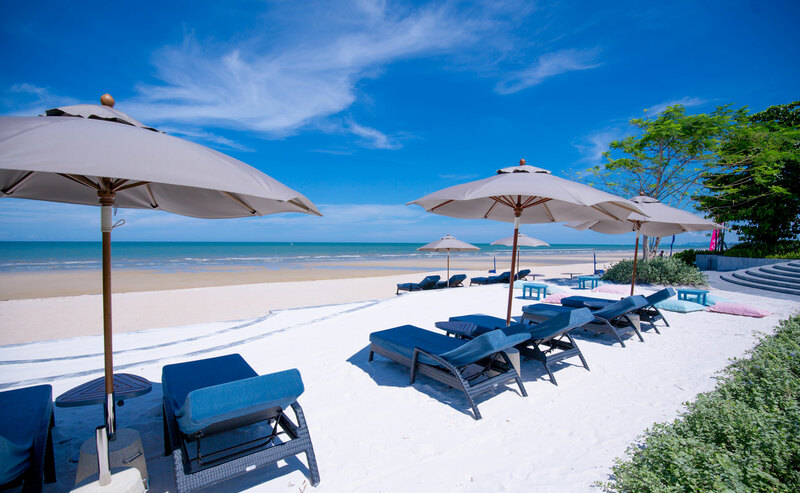 A FIRST-CLASS DESTINATION AND MAGNIFICENT SCENERY ON TRANQUIL WHITE SAND HUA HIN BEACH. V Villas Hua Hin, MGallery by Sofitel is the creative vision of renowned French architectural design company, J+H Boiffils. 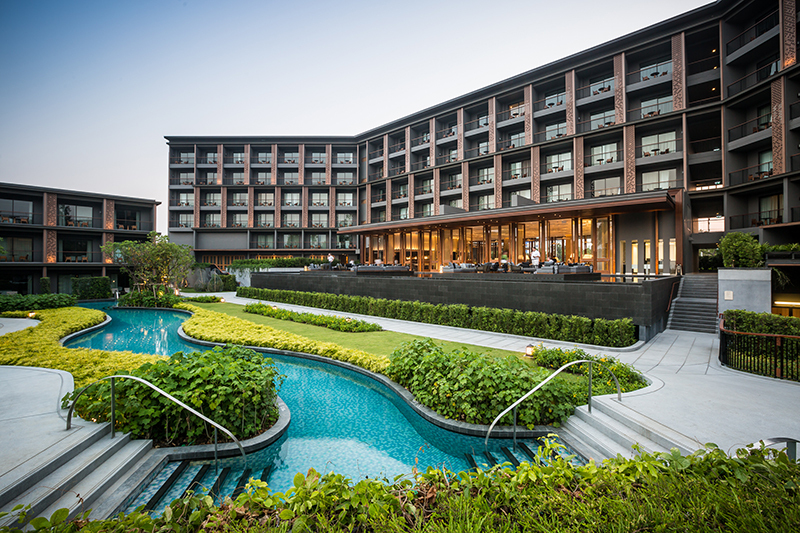 Drawing inspiration from the geometric patterns of terraced rice paddies and the sophistication of Italian villazzos, the result is a refined contemporary lifestyle resort for well-travelled and sophisticated individuals. 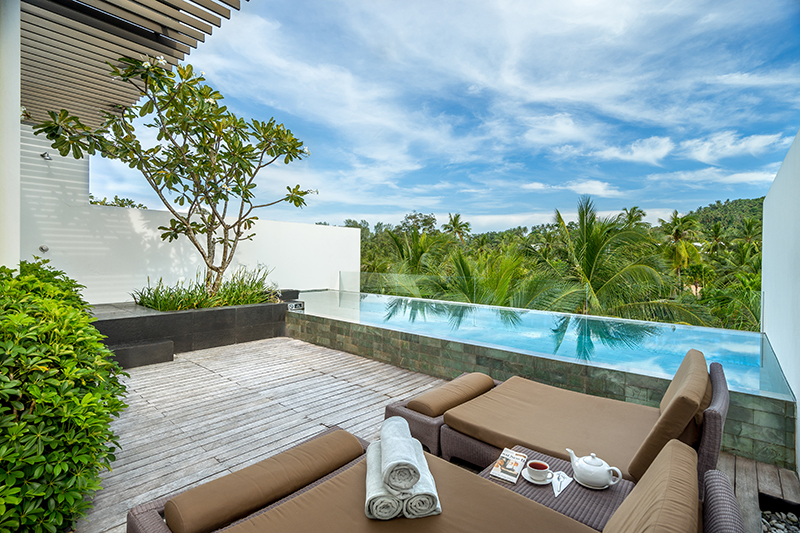 Find yourself embraced in the tranquility of Sea Sand Sun Resort and Villas. Relax on a golden beach, try creative menus at the recently renovated “Horizon Restaurant”, or enjoy special cocktails by the pool overlooking the sparkling Gulf of Thailand – there’s no excuse for leaving this piece of paradise at all. 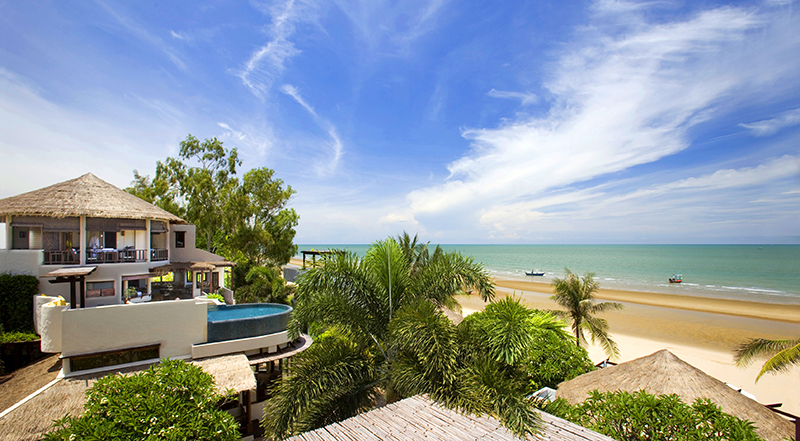 The glorious Jomtien beach will be right on your doorstep when staying at Dor-Shada Resort. 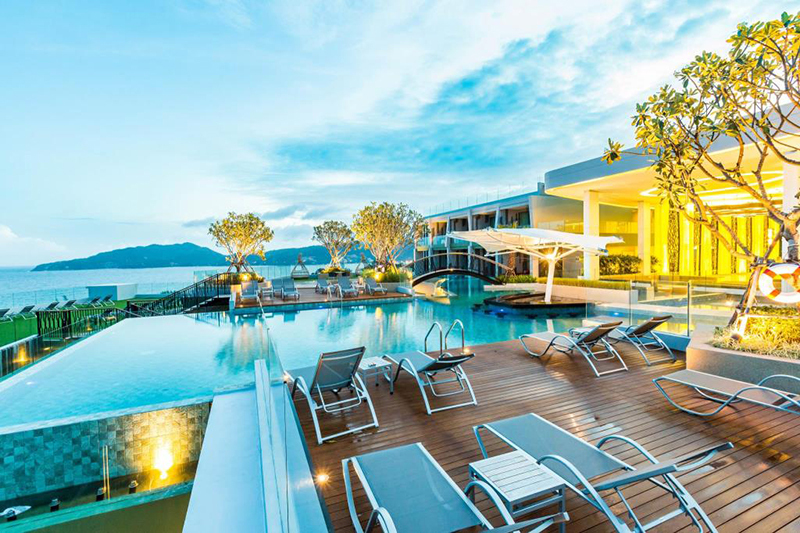 This is one of the premier contemporary Thai resorts in Pattaya and truly the perfect place to find tranquility and relaxation within just a short distance from the heart of vibrant Pattaya. 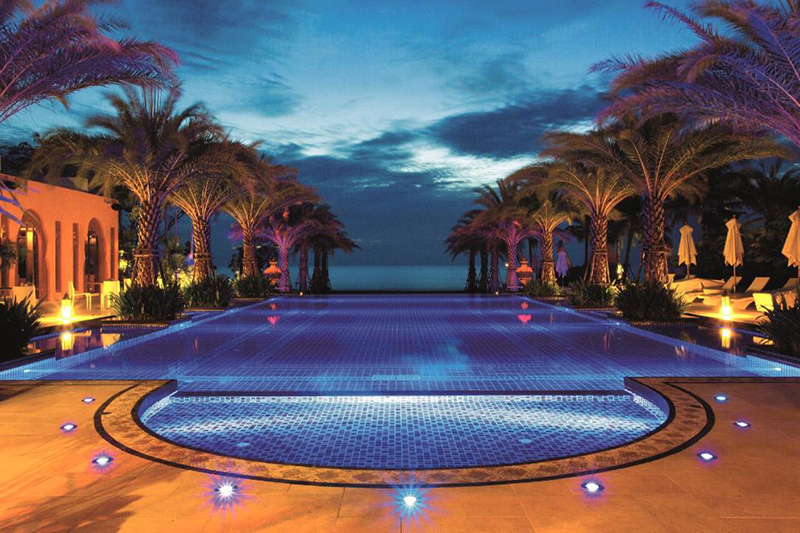 Experience the extraordinary at Hua Hin Marriott Resort & Spa. 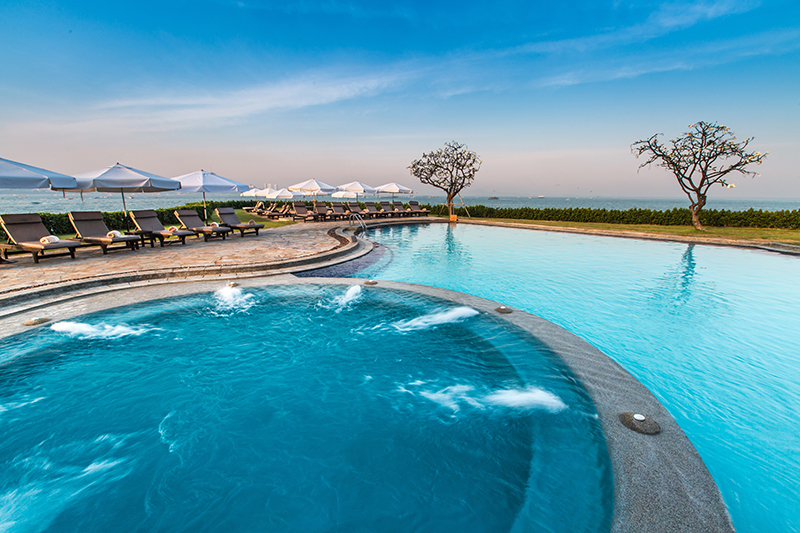 Relaxation comes naturally when you stay at Hua Hin Marriott Resort & Spa. 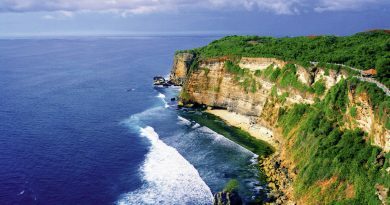 The resort features sumptuouslyappointed rooms and suites with plush featherbeds and marble bathroom, 5 distinguish restaurants and bars, and indulging spa all surrounded by landscaped garden and scenic sea. 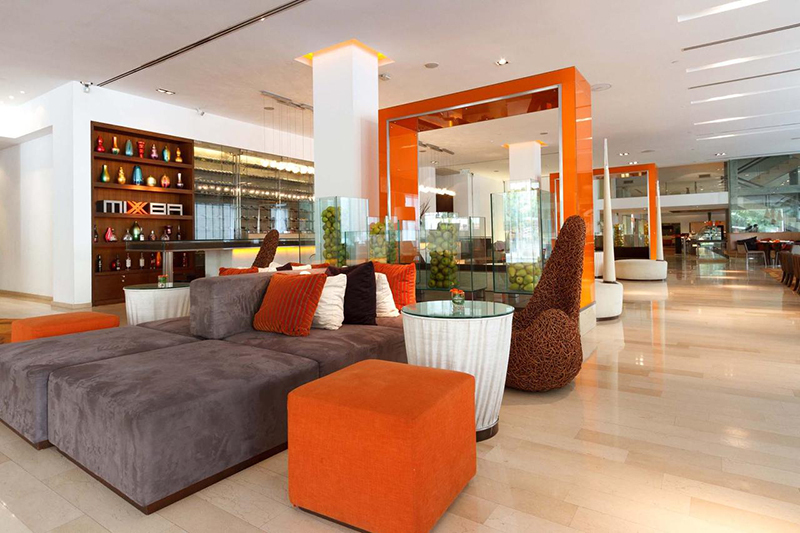 Pullman Pattaya is the definition of “Living a dream”. The newly renovated hotel boasts a seamless blend of traditional Thai and cutting-edge design for every lifestyle. 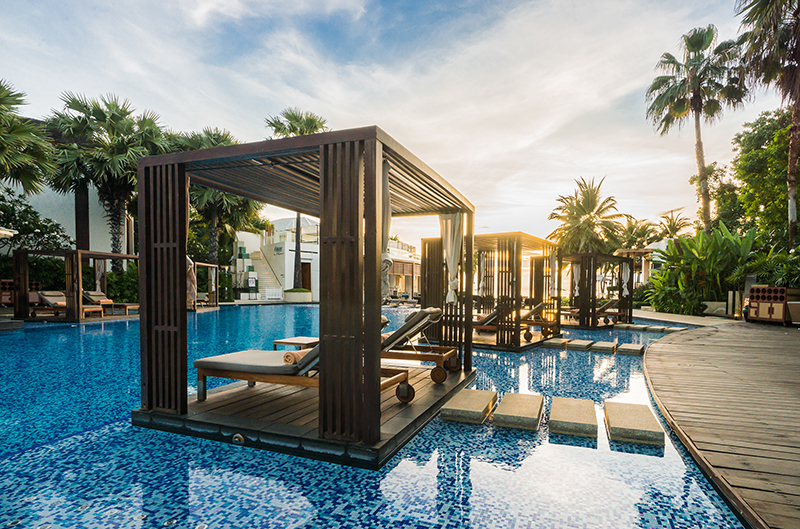 Whether you seek a romantic honeymoon, quality time with family, a quiet getaway, or a location for a savvy event, Pullman Pattaya will have you covered in every angle. 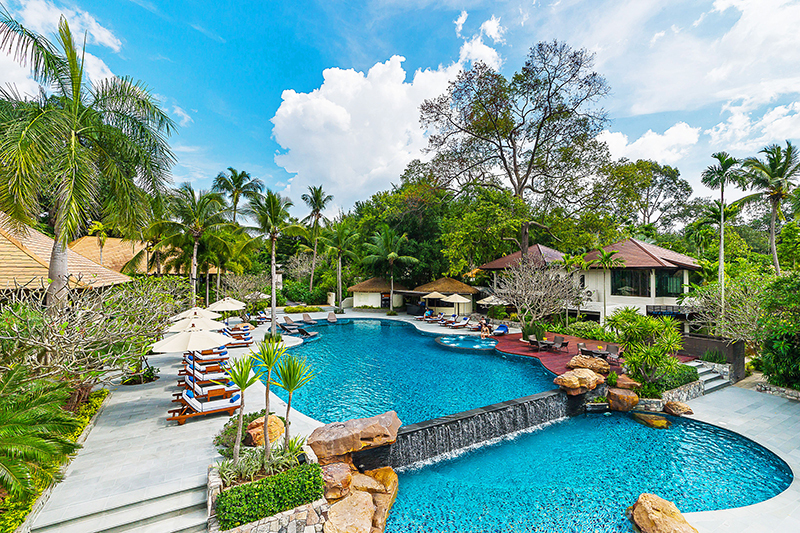 High life begins as you board InterContinental Hua Hin Resort’s private jet from Bangkok to Hua Hin and check into the colonial Thai style beachfront pool villa. With unrivaled style, sophistication, and comfort, the resort is one of the finest retreat for golfers, leisure travelers, and business travelers alike. 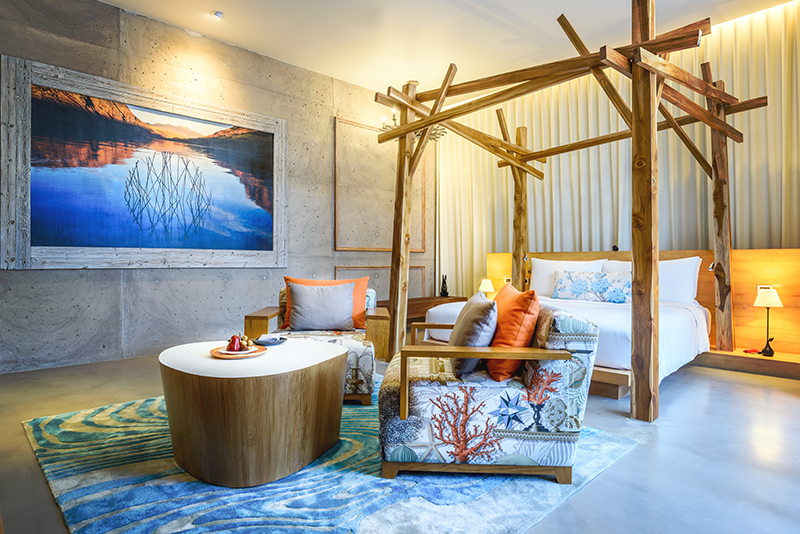 Luxurious and playful – SO Sofitel Hua Hin harmoniously converges nature, design, and modern technology into a colourful resort experience. 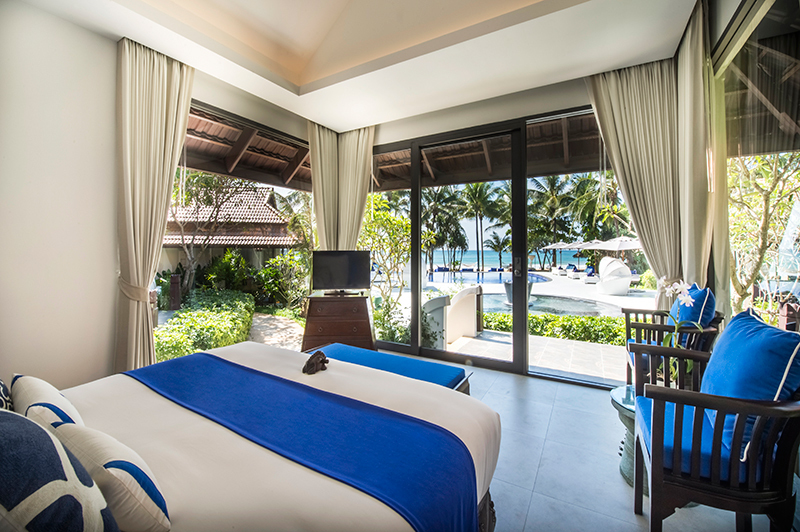 The imaginative resort sits directly on Cha-Am Beach and offers 77 SO rooms and villas with a seamless mix of simple natural elements and lavish French refinement. 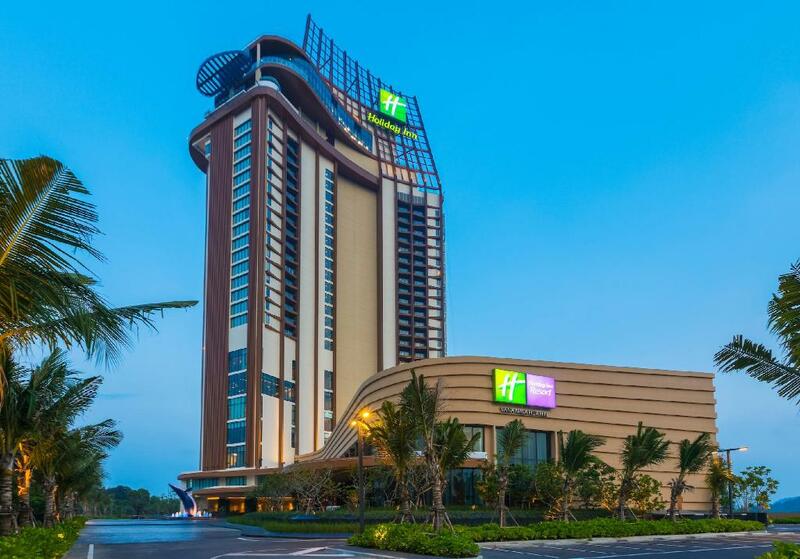 As the first Holiday Inn water park resort, Holiday Inn Resort Vana Nava Hua Hin is one of the best family retreat seaside resorts in Thailand, but the water park isn’t all its highlight. 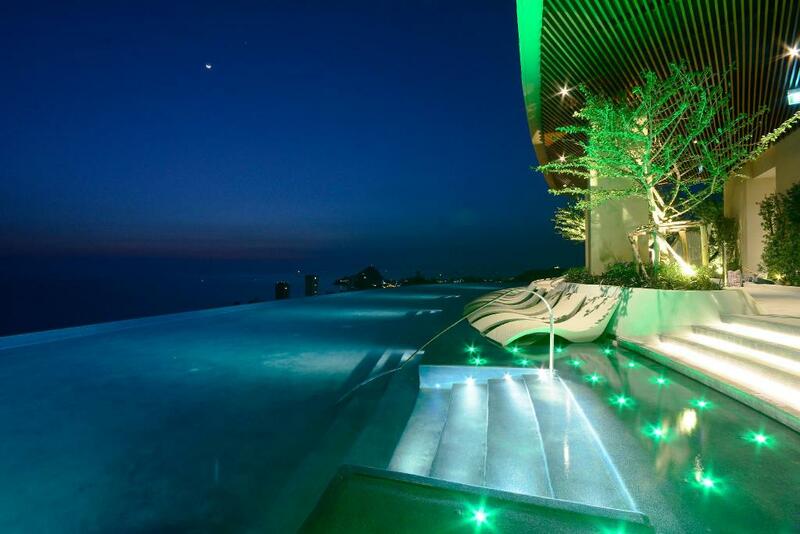 The resort also boasts delightful local and international cuisines, as well as the 26th floor pool with sweeping views of Hua Hin and the Sky Deck with daring glass floor for the braves! With only 29 suites and villas, Baba Beach Club is an exclusive luxury hotel on a pristine beachfront land between Cha-am and Hua Hin. Experience stylish beachfront living that comes with a 160 meter white sand beach, beachfront pool, beach club, and delightful restaurants and bars. 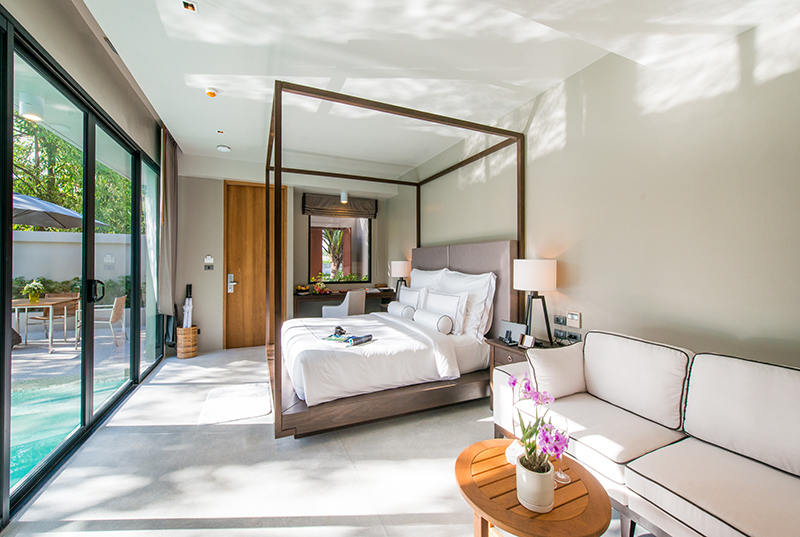 Aleeta Hua Hin features white-washed low-rise residences, suites, and villas with tropical style thatched roofs set harmoniously against lush greeneries and sparkling sea. The resort emphasizes on tranquility first and foremost with exclusive adults only wing, and there are a vast array of food and activities to satisfy your body and mind. 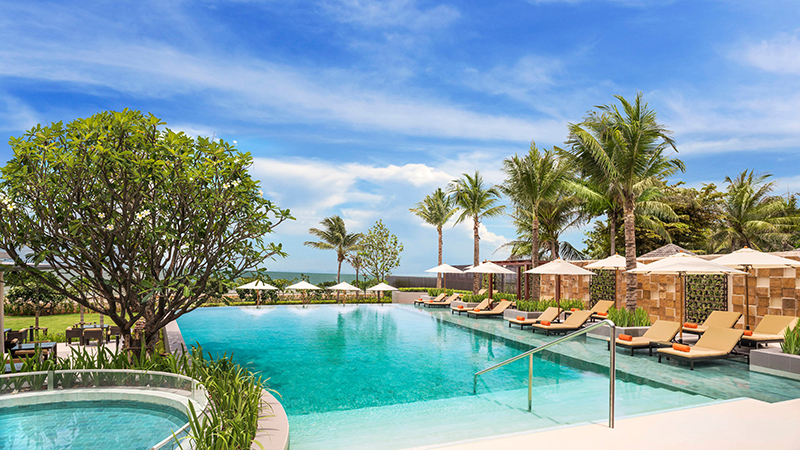 Hyatt Regency Hua Hin adds the finishing recreational touch to the beautiful beaches and golf courses of Kao Takiap with large interconnecting free-form pools, giant waterslide, and the award-winning The Barai Spa. This is the dream destination for those of all age looking for a relaxing and fun time. THE BARAI is the ultimate spa destination, offering world-class residential spa accommodation with 18 remarkable treatment rooms and 8 exclusive residential spa suites on 4.5 acres of serene beachfront land. Experience intuitive personalized treatments inspired by the traditions of ancient Thai health rituals and the best of Western therapies. 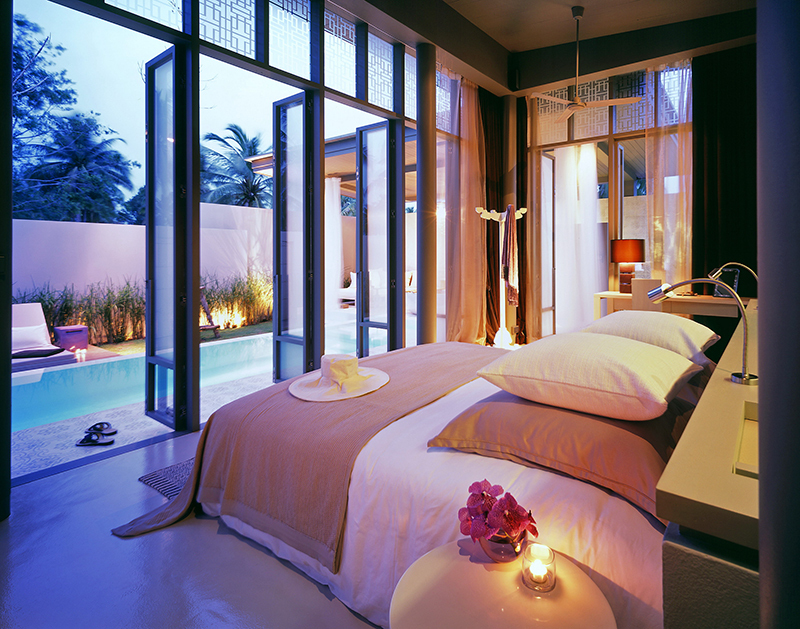 Stay in one of the 53 private pool villas of Sheraton Hua Hin Pranburi Villas and experience a truly luxurious escape. Be embraced by waving palms, lush tropical gardens, peaceful beach, and calm water as you relax in your own private infinity pool with a refreshing glass of cocktail in your hand. 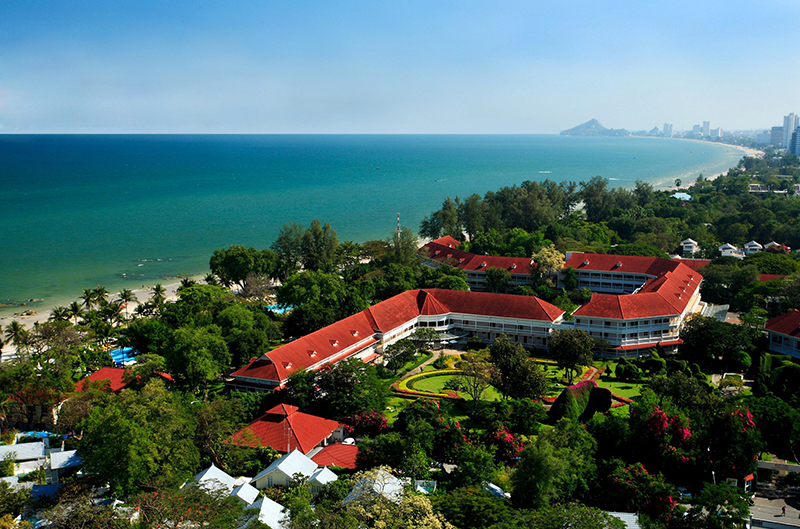 Sheraton Hua Hin Resort & Spa set itself as the luxury resort for every occasion. 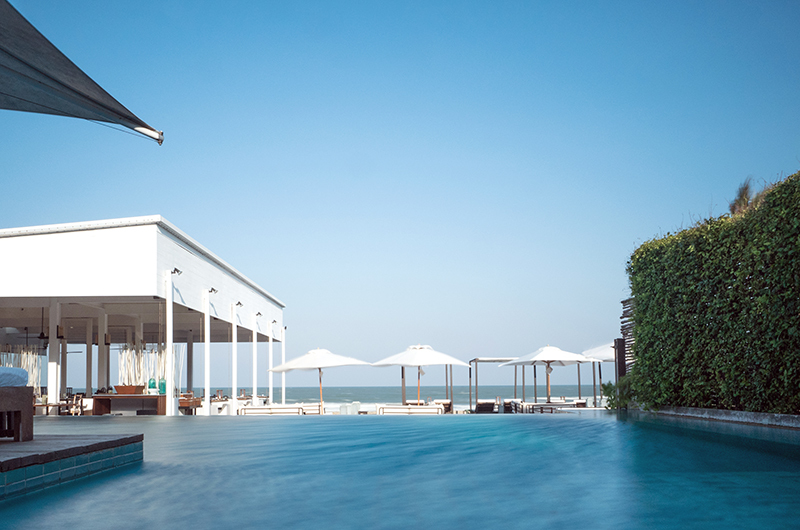 Relax by the beach with tranquil scenery of Gulf of Thailand, drift along the 560-meters lagoon style pool, join an inspiring conference, or plan your dream wedding, Sheraton Hua Hin has everything you’ll need to make your dream perfect. 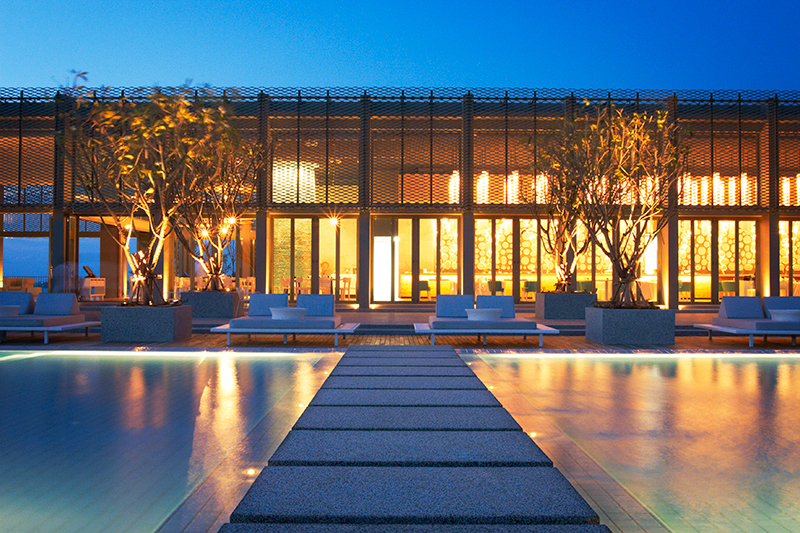 Find sanctuary in the heart of the bustling Chaweng. 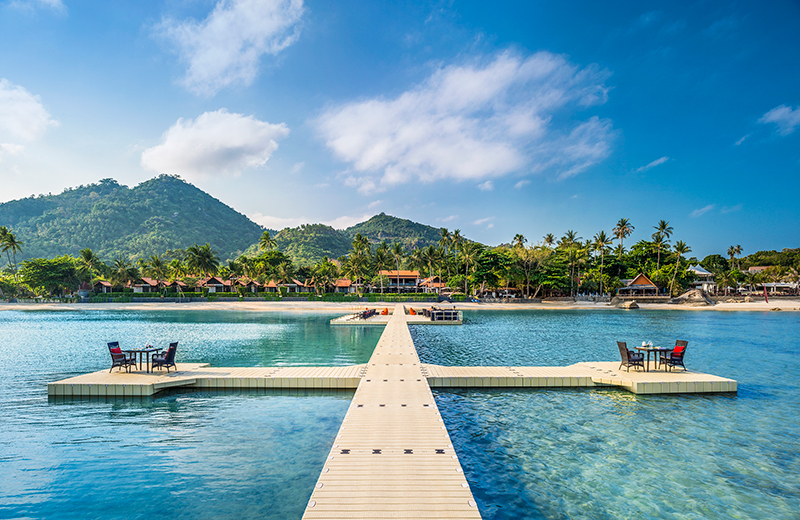 Buri Rasa Village Koh Samui let you escape into an enchanting traditional southern Thai haven spread amidst a ‘Garden of Eden’ with all luxury amenities and top facilities at your service, and beaches, nightlife, and Samui adventure just a stone throw away. 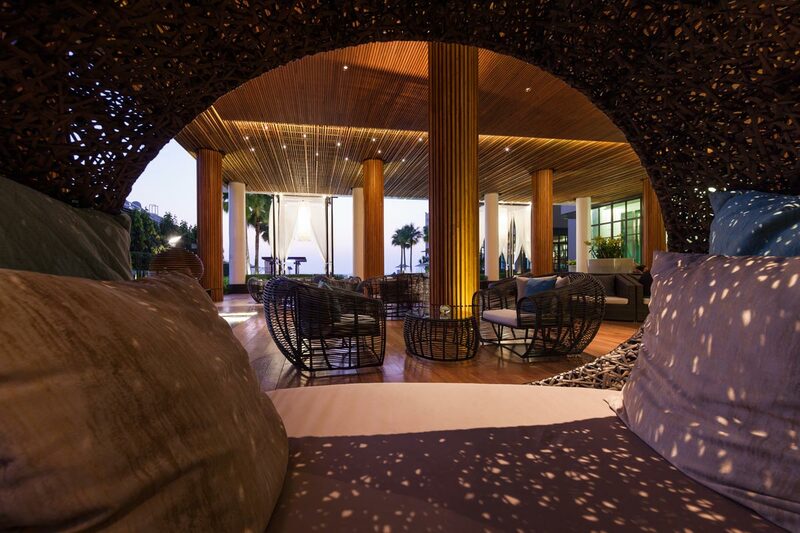 Thai and Chinese craftsmanship combines seamlessly throughout Le Meridien Koh Samui. Discover an experience far beyond traditional 5-star hotel at the Ocean Pier where you dine above the calm sea and indulge yourself at the world-class luxury Le SPA that blends ancient practices and ingredients to revitalize mind, body and spirit. 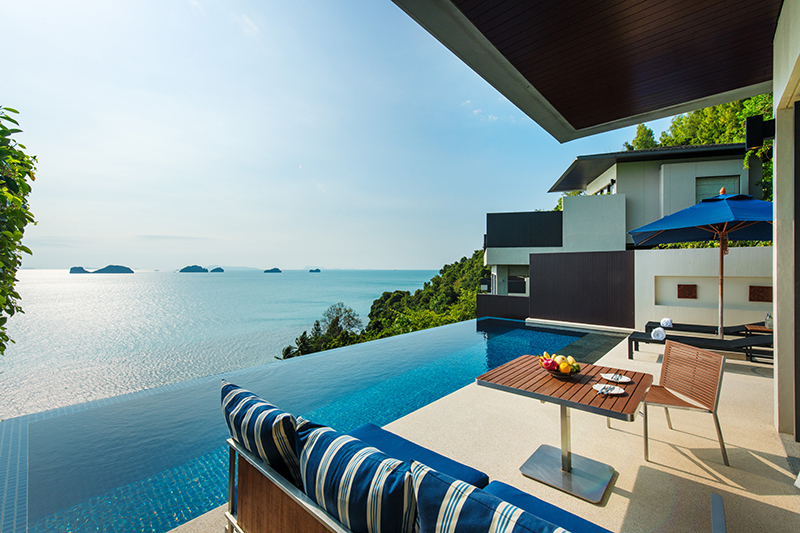 Savour the sunset view over the Gulf of Thailand from your private balcony. Honeymooners will love the Club Beachfront Pool Villas which comes with a private swimming pool and wine bar, while families will enjoy the top of the line Club Napa Reserve Three-Bedroom Residence Villa that includes a dedicated butler service and personal chef. 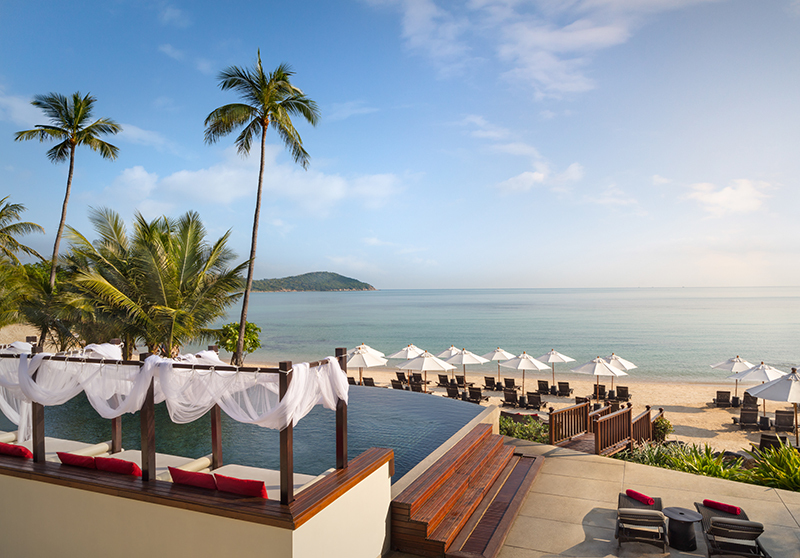 Your family vacation an be as luxurious as a honeymoon at Sheraton Samui. 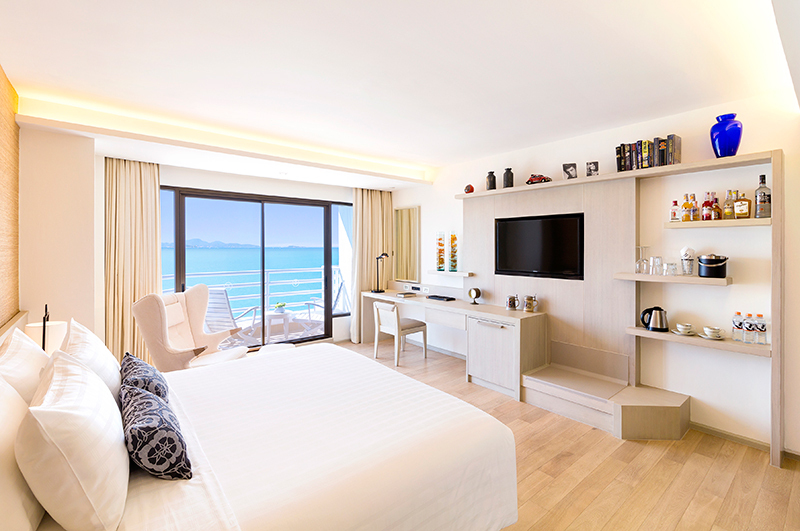 The family-friendly 5 star hotel is located along a peaceful stretch of pristine beach at Chaweng Noi so all your activities from dining, drinking and swimming are all set against the turquoise ocean backdrop. Sitting on a scenic hillside location, ShaSa slopes down to the quiet stretch of Laem Set Beach to ensure the most beautiful sea views from the rooms and suites, as well as its cascading pools. Wake up to the sound of waves crashing upon the shore before enjoying a morning coffee on private balconies overlooking the ocean. If you seek a tranquil couple hideaway, New Star Beach Resort is the place where you can feel truly at home. The hotel reflects the contemporary lifestyle and easy-going attitude of Koh Samui while serving personalized service designed to make your vacation a memorable one. 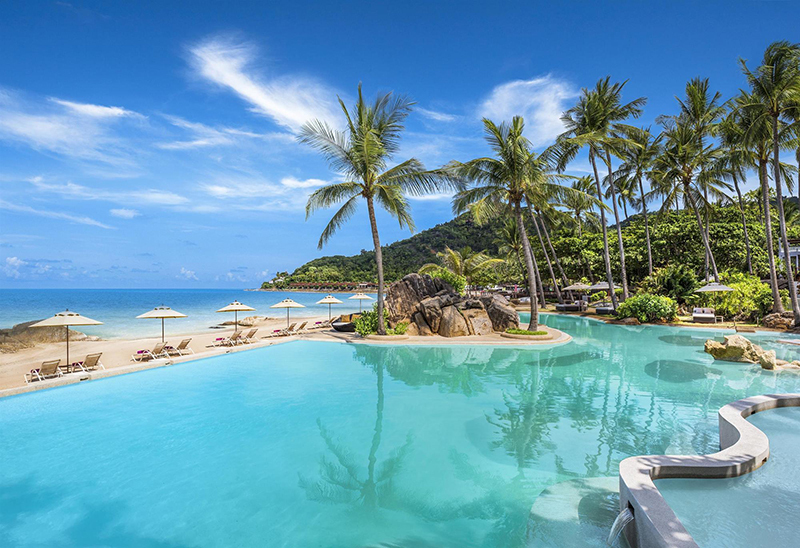 Set within a landscaped garden framed by turquoise water and champagne sand, Santiburi Samui commands breathtaking panoramas and a private beach in the unspoiled northern coast of the island. 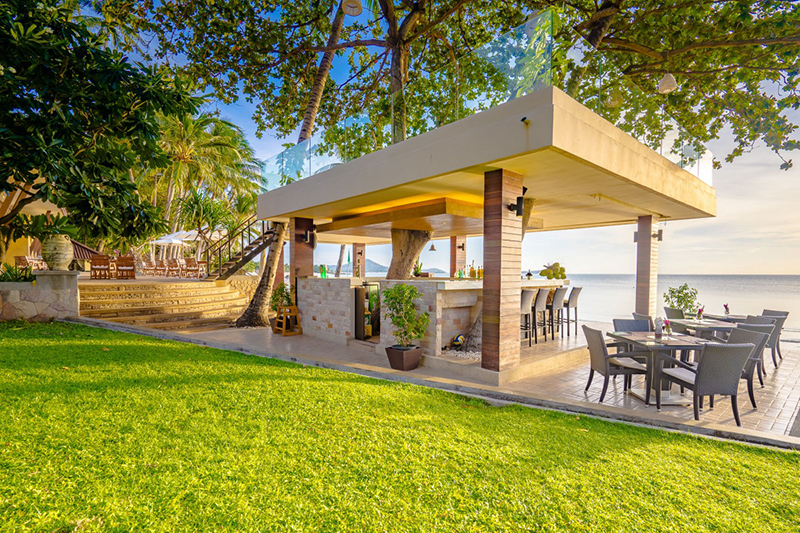 The resort is just 15 minutes to Bophut but you won’t have to travel at all to taste the island’s premier gourmet surf & turf dishes – just head to The Beach House. 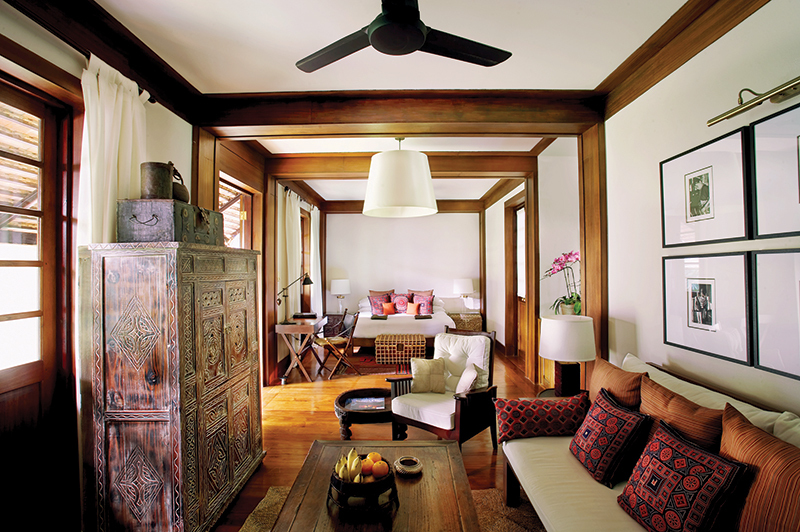 Be inspired by bright nature-inspired rooms and villas in an expansive beachfront property on northeastern coast of Samui. 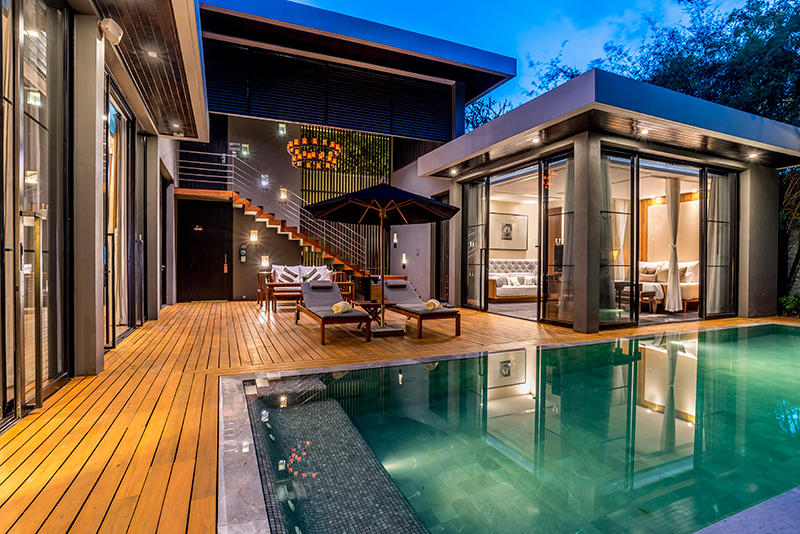 Couples will love the plush villas that come with opulent outdoor bathrooms and deep plunge pools in their own walled courtyards. 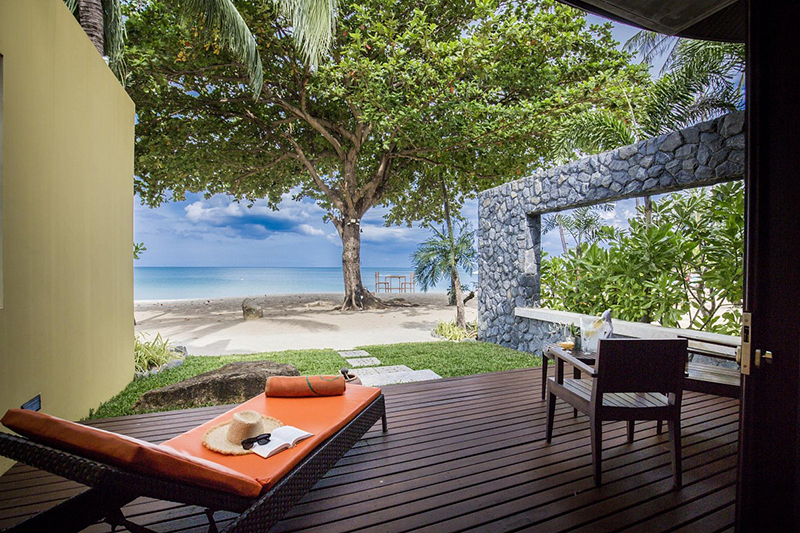 Located on a Laem Nan Beach, a beautiful rock beach between Chaweng and Lamai Beach, Silavadee Pool Spa Resort comprises of 44 pool villas with private infinity pool and “Qua Jet Massage Bed” and 36 deluxe rooms in a unique ‘back to nature’ concept with calming sceneries of the romantic Gulf of Thailand. SALA Samui Chaweng Beach Resort takes an old hotel built in 1994 and revived it with the brand’s signature elegant minimalist design. The resort’s 286 m2 Oceanfront Two Bedroom Presidential Pool Villa is an exclusive masterpiece for luxury family getaways, intimate weddings or special celebrations. Retreat nurtures wellness, with a full range of holistic treatments including yoga, biking and watersports are available for the active guest. 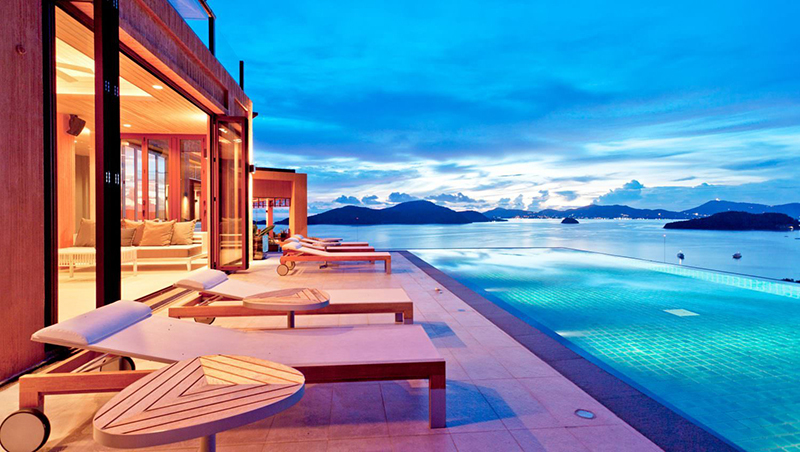 COMO Beach Club, set on a tranquil island off the east coast of Phuket, is a 40-minute transfer. 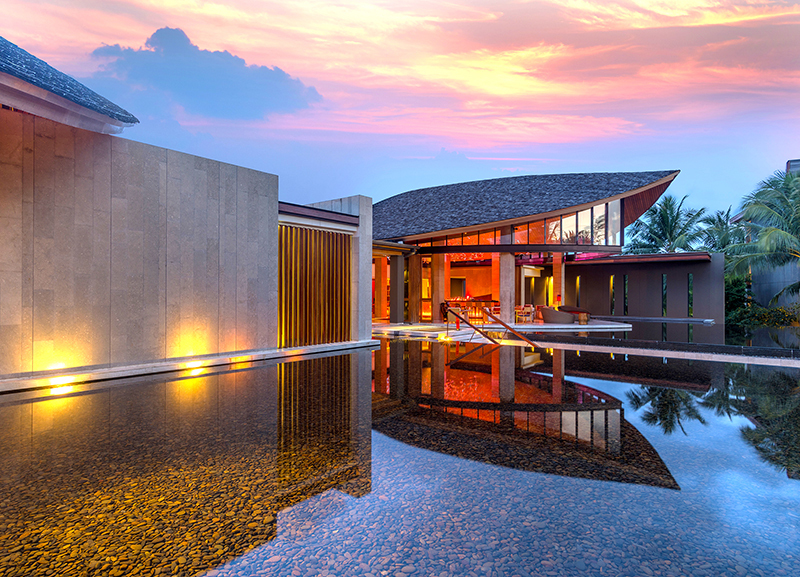 Angsana Laguna Phuket is one of the first pioneers of the luxury integrated resort, Laguna Phuket. 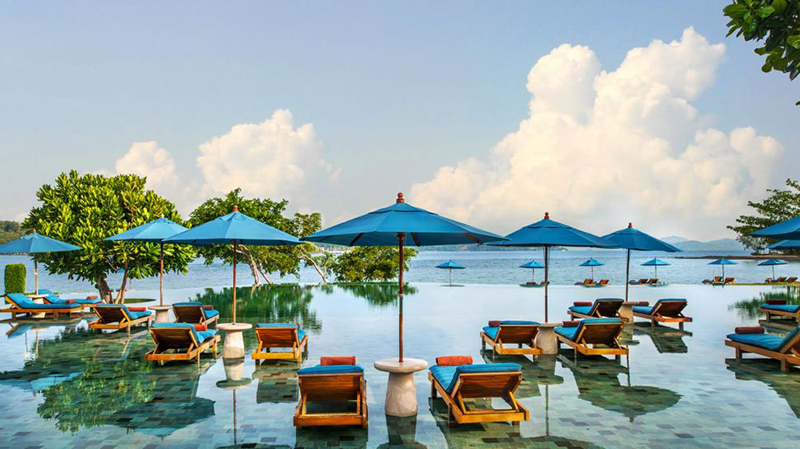 Enjoy spectacular views of Bang Tao Bay with warm white sand beach or laze in the extra-long 323 meter freeform pool around the resort with cooling pool bar at your service. Elements of Samui’s Chinese heritage are reflected throughout Anantara Lawana Samui Resort, offering pieces of the island’s charming past alongside modern luxury and 5-star hospitality. There are plenty of leisure activities to enjoy, from lazing by the beachfront pool overlooking Chaweng Beach, to experiencing heavenly healing journeys at Anantara Spa. The Slate draws inspiration from Phuket’s rich mining history to create the tropical industrial design that combines old traditions with wondrous new design elements. Immerse yourself at Coqoon Spa and really get your hands dirty at the cooking class designed to really teach you the art of cooking. DISCOVER NEW PASSIONS, BROADEN YOUR HORIZONS AND ENGAGE YOUR SENSES. Enjoying the spectacular Andaman sunset from the peaceful Natai Beach in Phang Nga. 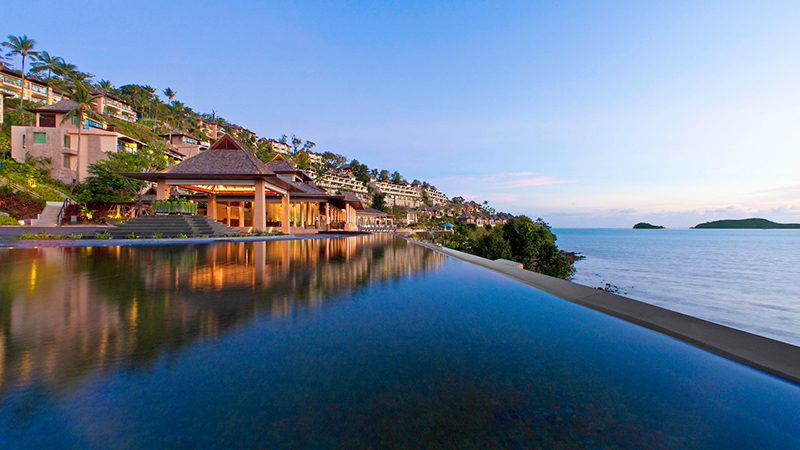 The 5-star “all suite, all private” Aleeta Phuket Resort & Spa highlights plenty of private space, from the smallest 80 m2 suite to the 5-bedroom beachfront Grand Villa. 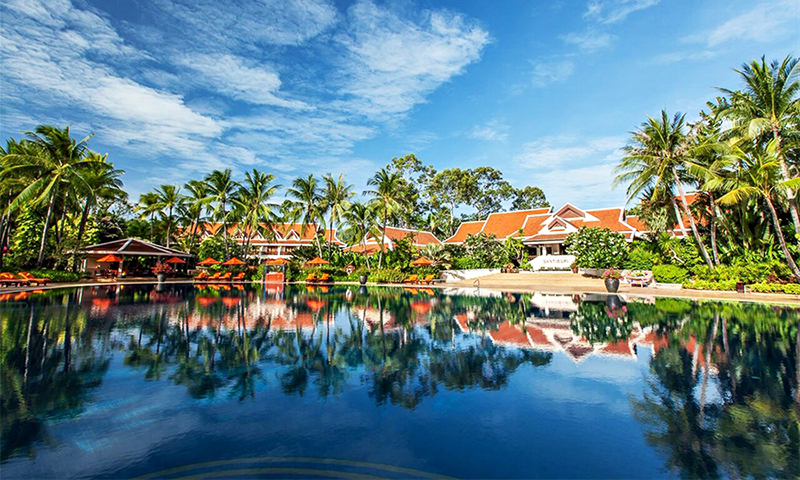 The resort was recently rewarded as Thailand’s Best Small Green Resort for its environmental-friendly approach. 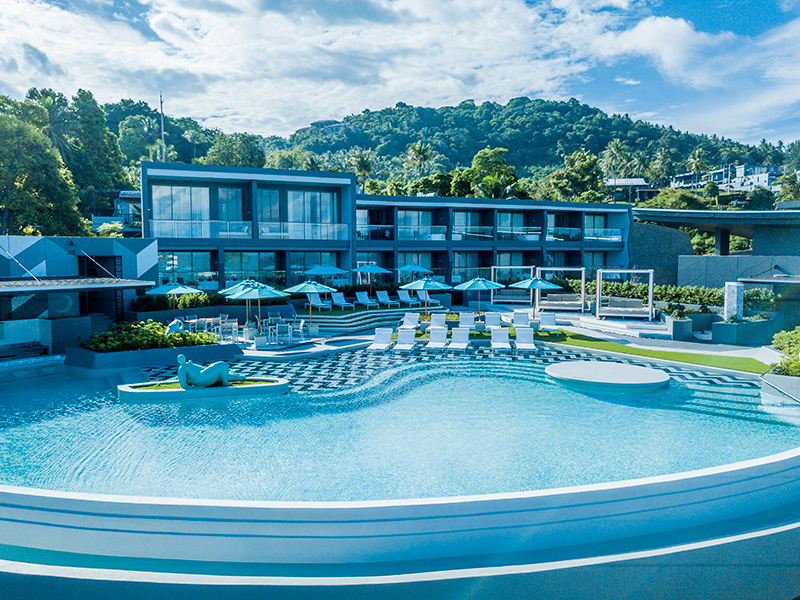 Set in the area known as the “Millionaires’ row”, Twinpalms Phuket Resort offers an exclusive contemporary tropical getaway designed to indulge and lift your spirit. The resort is just 5 minutes from the lively Surin Beach, but you won’t have to leave the resort to enjoy exceptional cuisine, fabulous beach clubs, and a world-class spa at all. 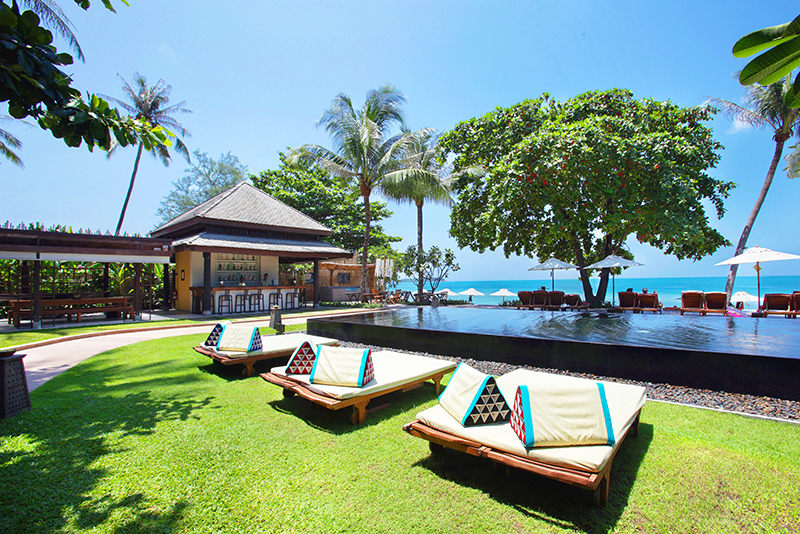 Experience gracious Thai hospitality in a private beachfront setting with direct access to white sand beach and stunning backdrop of Makham Bay. Relax in the infinity pool overlooking the ocean and swim up to the Edge Pool Bar for a refreshing drink; or be pampered amidst palm trees and the sounds of the ocean at Talay Spa. 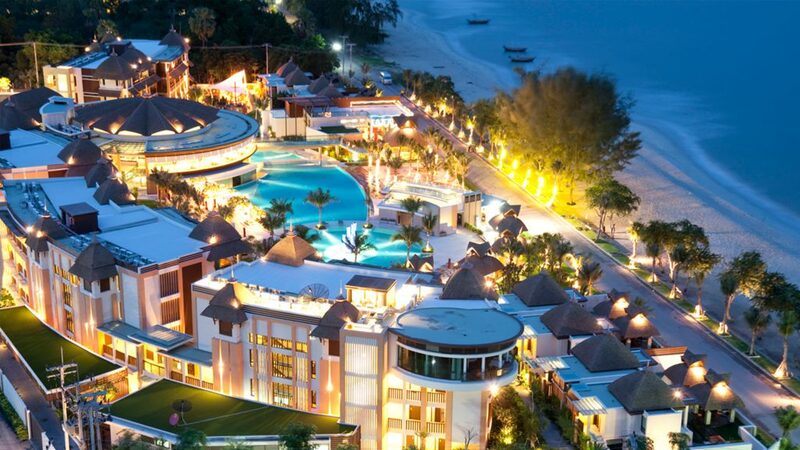 Occupying most of Cape Panwa peninsula, Sri Panwa is one of finest resorts in Phuket. 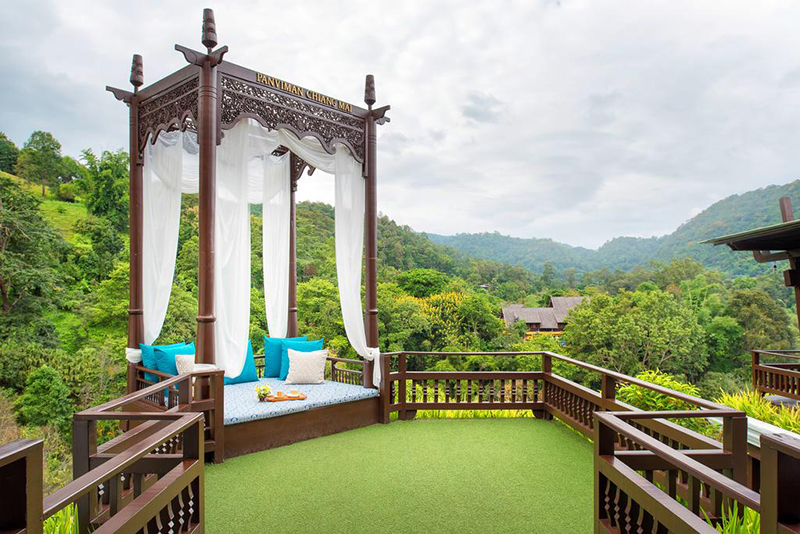 Uninterrupted panoramas of Andaman Sea and the surrounding islands are offered in every tropical contemporary villa, but for truly enchanting views, head up to Baba Nest, the resort’s exclusive rooftop bar. Sitting on an exclusive unspoiled Natai beachfront, Baba Beach Club Phuket is the hipper and more colourful sister of the famous Sri Panwa. Expect tropical contemporary elegance with an added tune, powered by Funktion One Sound System, throughout the resort, as well as weekly live performances by local talents and world-class DJs. 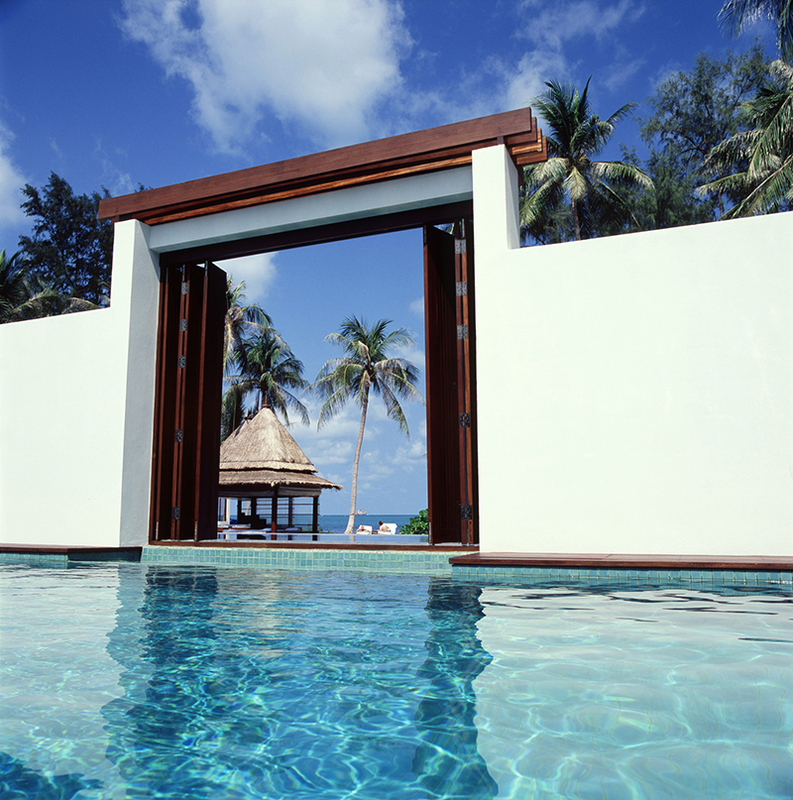 Escape to the neo-colonial sanctuary flanked between the Andaman Sea and scenic garden and coconut grove. Inaddition to Dusit’s renowned Thai hospitality, Dusit Thani Laguna Phuket also enjoy all the worldclass facilities of Laguna Phuket, including the 18-hole championship golf course. 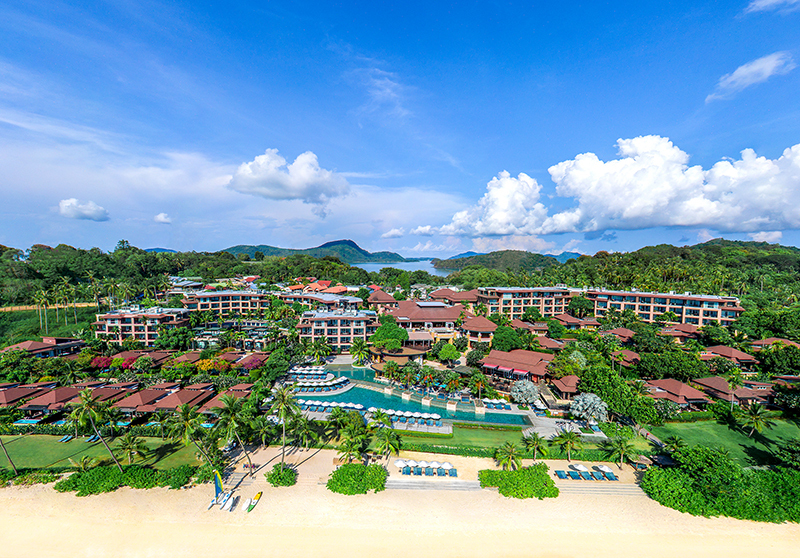 Phuket Marriott Resort and Spa, Nai Yang Beach is the answer to your search for an unforgettable vacation whether it’s a family vacation, a honeymoon, or a business trip in Phuket. The resort features a sparkling lagoon pool, a rejuvenating spa, and superblyappointed rooms and suites with plush bedding and marble bathrooms. 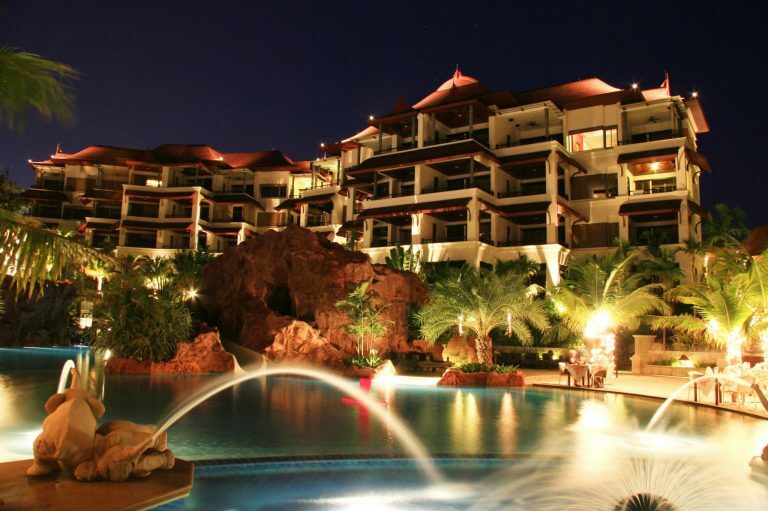 Grand Mercure Phuket Patong is an oasis in the bustling Patong district of Phuket. 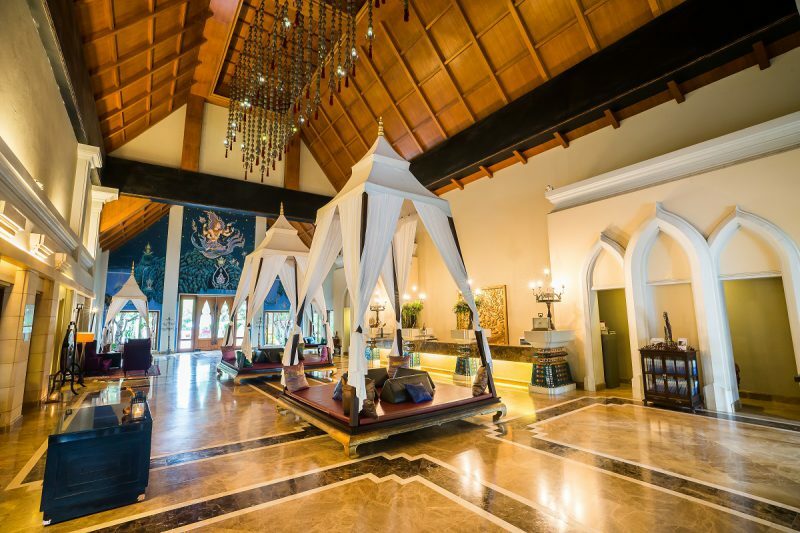 The iconic resort combines natural beauty and cultural heritage into its contemporary Thai design and personalized services, and it’s perfect for young travelers, families, and friends looking to spend an exciting vacation together. Let go of all your stress and enjoy the soothing sceneries of Kalim Bay and the Andaman Sea from your private pool villa. 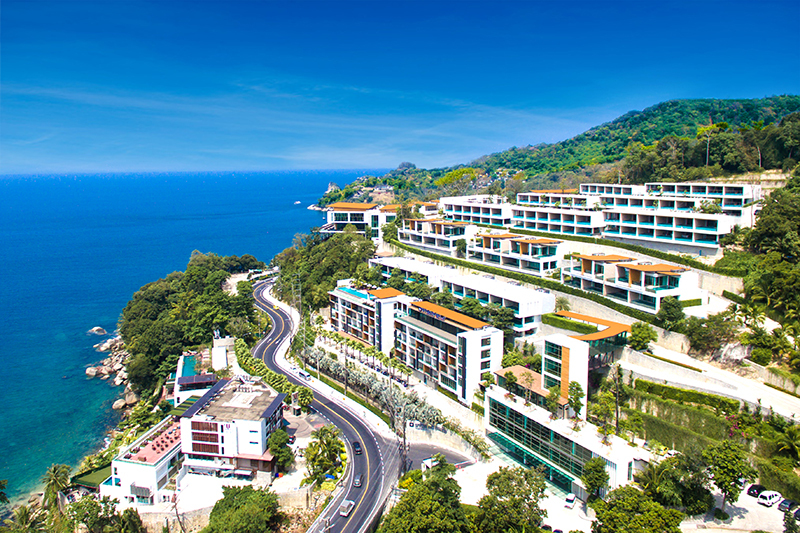 Wyndham Grand Phuket Kalim Bay is a sanctuary of rejuvenation where you get to relax and savour delicious Thai fusion cuisine or share cocktails and panoramic views at the rooftop bar. Located on the calmer east coast of Phuket, The Westin Siray Bay Resort & Spa is undoubtedly a piece of paradise within a paradise. There are 6 restaurants, 3 pools, and a ‘Heavenly Spa’ adorning this beautiful gem so you could just spend your entire holiday on this paradise. 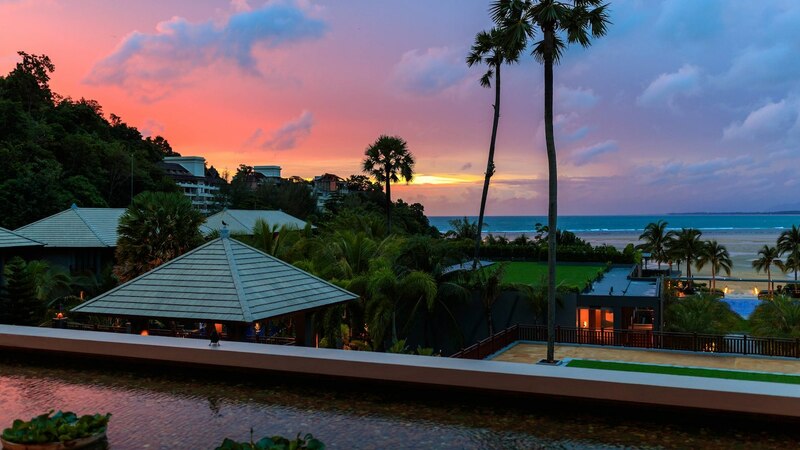 Located on a wildly beautiful beachfront of the Mai Khao Beach, Renaissance Phuket Resort & Spa showcases stylish villa design inspired by sea turtles which nest around the peaceful area. The resort offers a range of exceptional facilities, including an array of dining options, lounge and bars, and the award-winning Quan Spa. 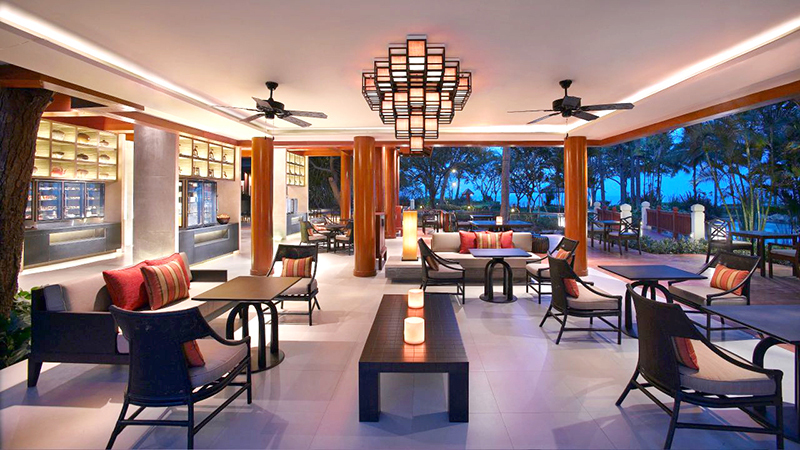 Akyra Beach Club Phuket is all about stylish lifestyle and surprising experience. The resort commands a pristine stretch of Natai Beach and offers 58 stylishly appointed rooms, suites, and villas. Jetsetters and hipsters will love to see and be seen at the waterfront Club akyra where fabulous theme parties and fun BBQ are the norm. 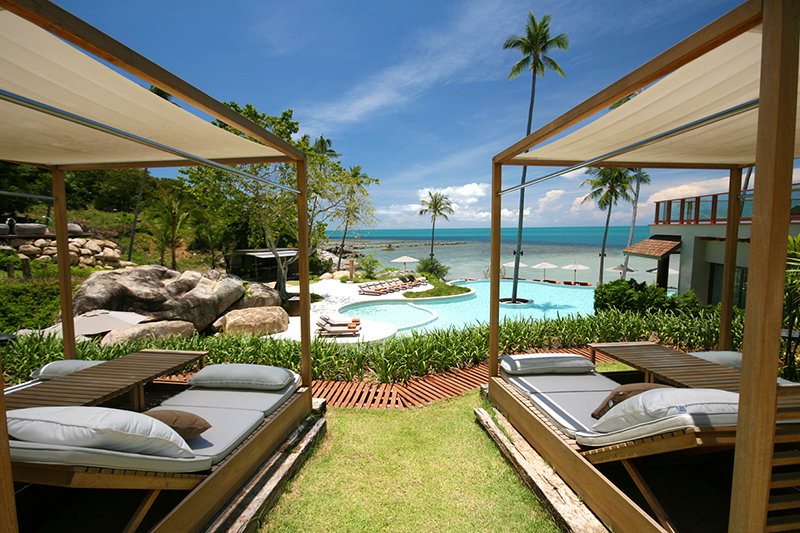 THE SIS KATA RESORT IS TRULY TO ‘STAY IN STYLE’. ‘Stay In Style’ like the resort’s motto. The SIS Kata does everything stylishly from staying in style in the graciously designed rooms and suites, to chilling in style at the Crescent Pool Bar and dining in style at the resort’s signature “Dawn Til Dusk” with its combination of true taste of Thai street food and innovative ‘hot stone’ cooking technique. Impiana Resort Patong let you stay in the heart of all the action of Patong, yet the resort still feels like a serene oasis. With 6 room types from cabana style rooms with private balcony to luxurious traditional Thai suites, the resort is ideal for all travelers. 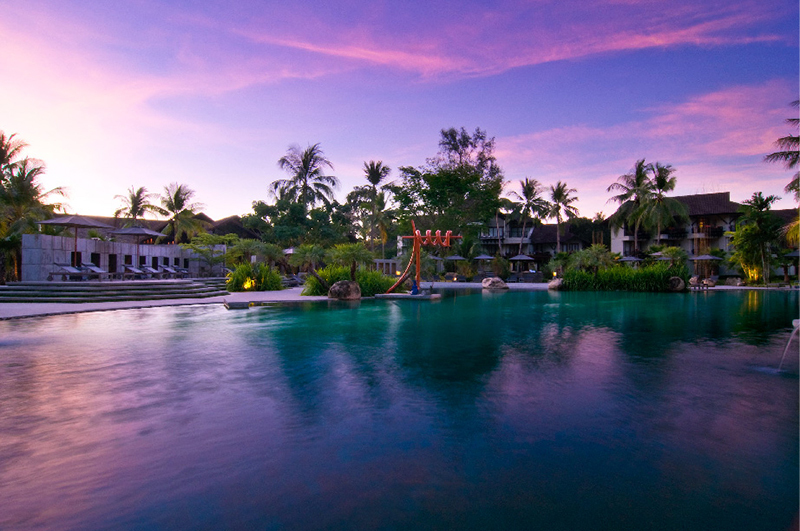 Elements Krabi Resort weaves the elements of nature into a harmonious experience where everything is balanced. With rare tropical flowers and lush landscape setting the mood for a relaxing getaway, the resort is an ideal hideaway for those seeking tranquility away from day to day distractions, yet within easy reach from local attractions and activities. 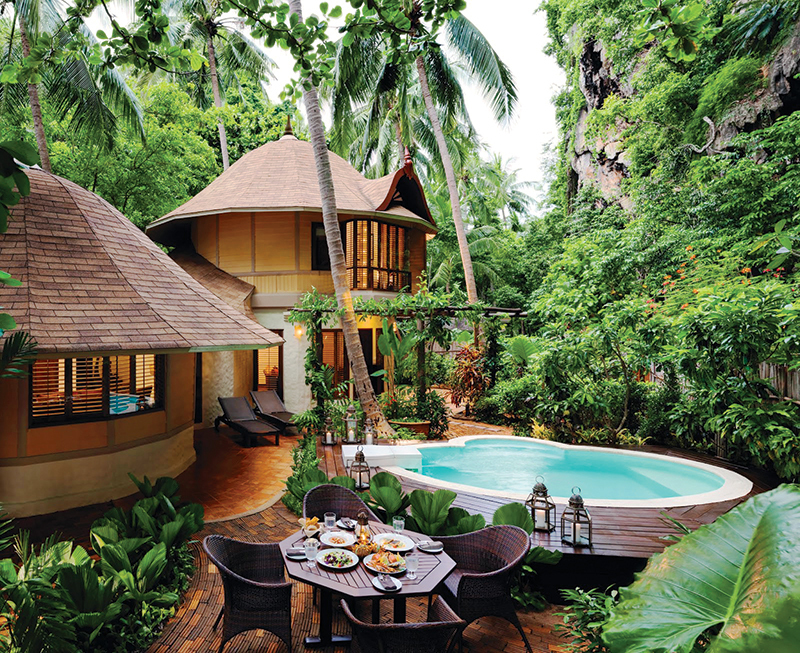 Nestled on Phranang Peninsula, Rayavadee shows what sustainability and living harmoniously with nature means. 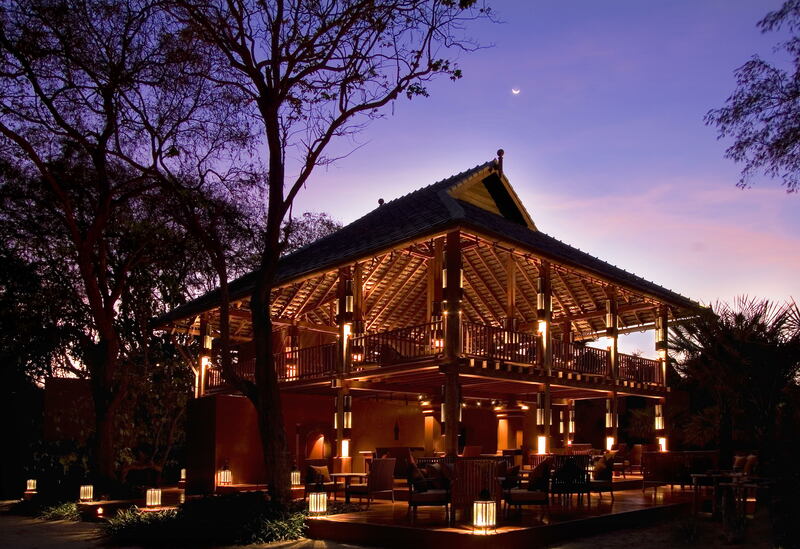 The resort’s luxurious, yet low-key pavilions scatter across the property to minimize tree clearing while the spacious interiors and décor provide. NESTLED DISCREETLY IN A SECLUDED AREA,WHITE SAND KLONG MUONG BEACH. 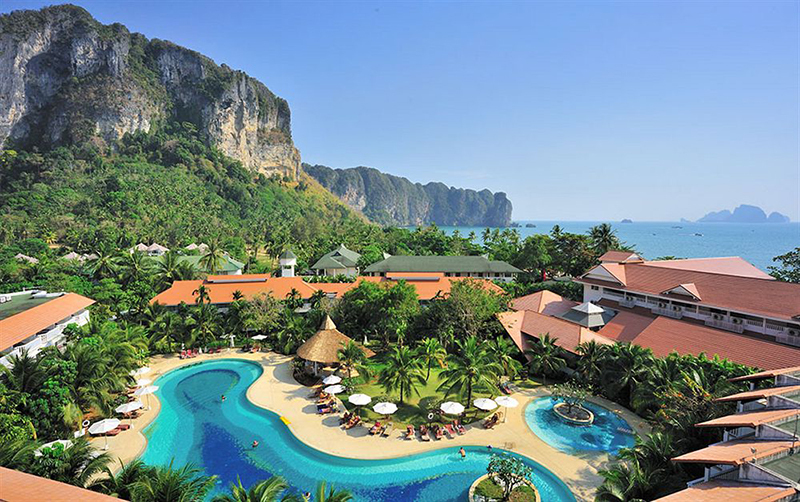 The 5-star Dusit Thani Krabi is close to the famous natural attractions Krabi is known for such as spectacular cliff formations, waterfalls, and caves. The resort boasts impressive Thai hospitality as well as incredible restaurants and a spa all within a few steps away from the pristine, white sand Klong Muong Beach. ADDRESS: 99 MOO 5, BA KAN TIANG BEACH, KRABI, KOH LANTA, THAILAND. The Naka Island is set on the idyllic landscape of Naka Yai Island just off the coast of Phuket and accessible only by a short speedboat ride. It’s a perfect private and intimate retreat free of all distraction, as well as an ideal location for exchanging vows. 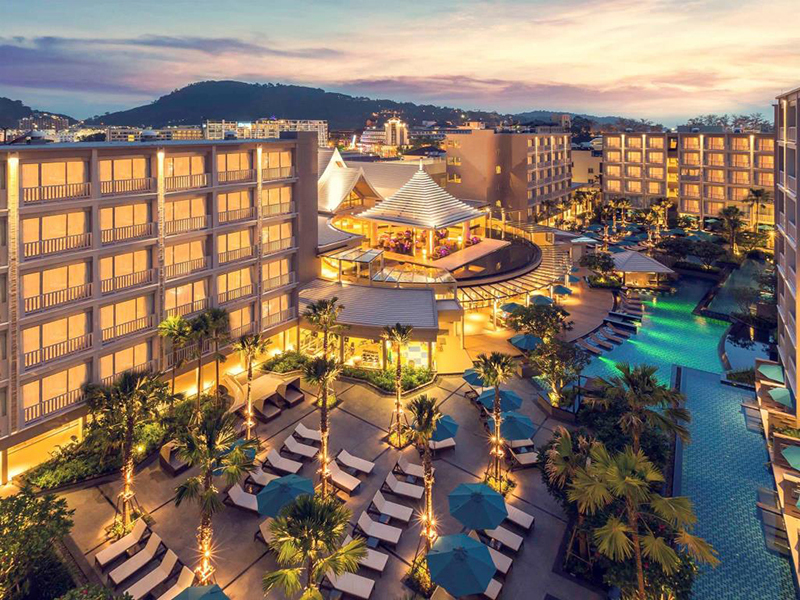 With beachfront location on Mai Khao Beach, spacious elegantly-appointed rooms, suites and villas, luxurious amenities, award-winning spa, world-class services, and 3 sparkling pools, your dream vacation or wedding can become a reality at JW Marriott Phuket Resort & Spa. Be lost in the wonderous nature of beautiful Phi Phi Island and surround yourself with striking seaside views, secluded sandy beaches and the soothing sounds of nature at the Holiday Inn Resort Phi Phi Island. Experience revitalizing stay with exclusive services rivalled only by the most spectacular sunsets on Thailand’s premier island destination. 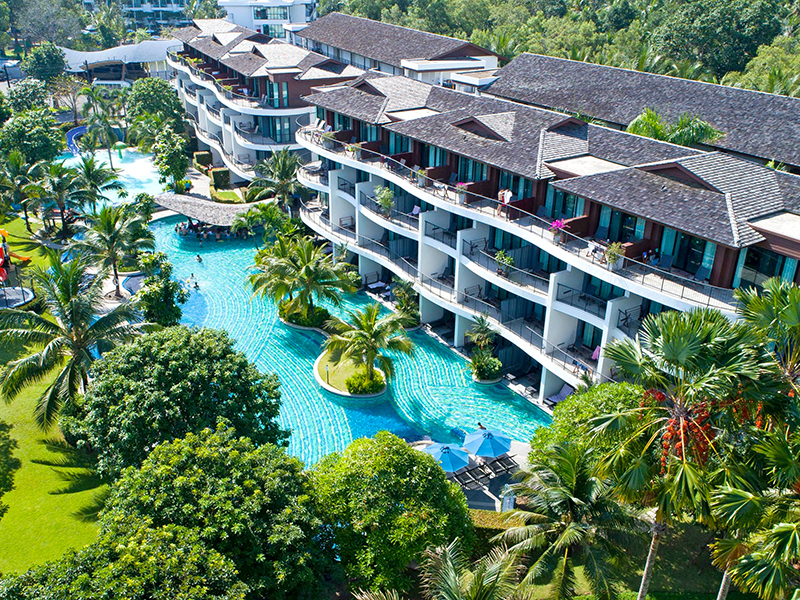 With easy access to the pristine Nopparat Thara Beach, the largest kids club in town, and a playful sense of tropical fun from waterslides to free-form pools and swim-up bar, Holiday Inn Resort® Krabi Ao Nang Beach will be your ultimate family getaway. There are endless activities for the kids while adults enjoy refreshing cocktails by the beach at Wave Bar.